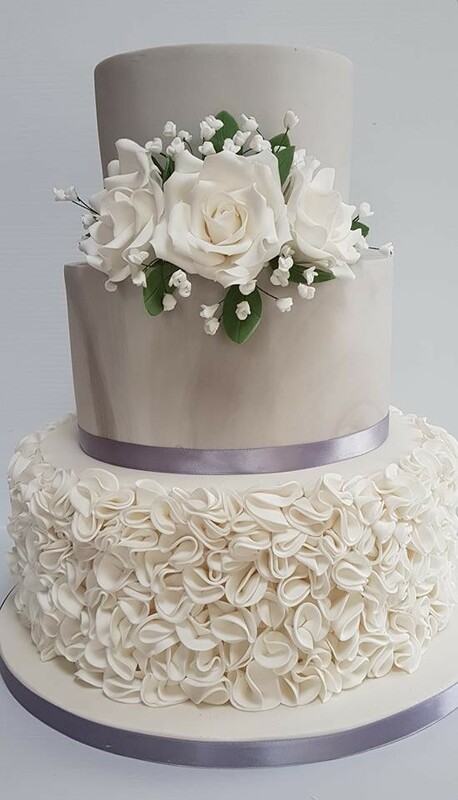 At Baker Boy Cakes, I aim to provide unique personalized cakes for all your special occasions from weddings to birthdays to any celebration. 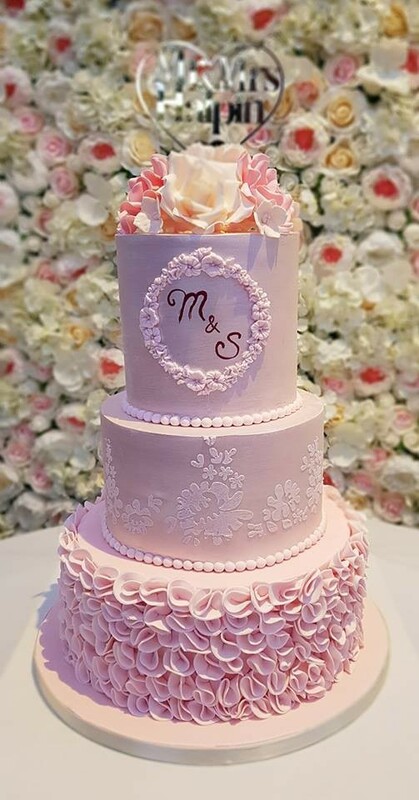 The cakes which are individually designed for you are homemade, handcrafted and come in an array of flavor’s such as Chocolate Biscuit, Lemon, Irish Crème Liqueur, Bourbon Vanilla, Red Velvet, Chocolate fudge, Coffee to name but a few. There’s something to suit everyone's taste buds for that special occasion i.e. 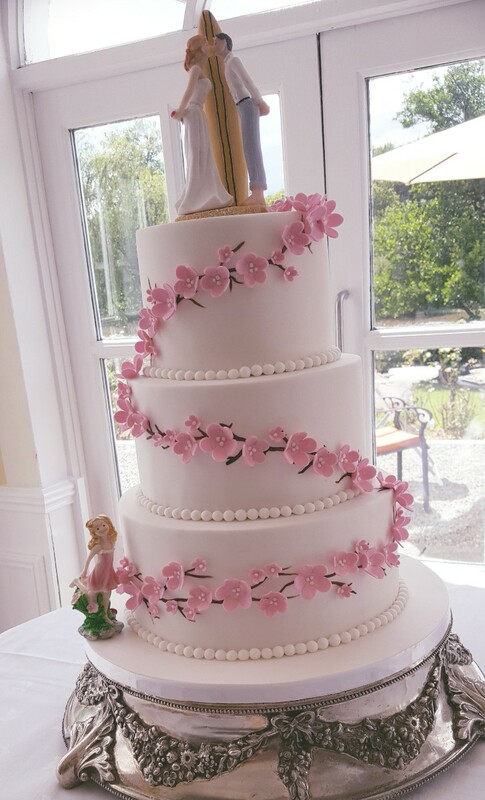 Weddings, Christenings, Birthdays, Communions, Confirmation or just to mark an occasion. 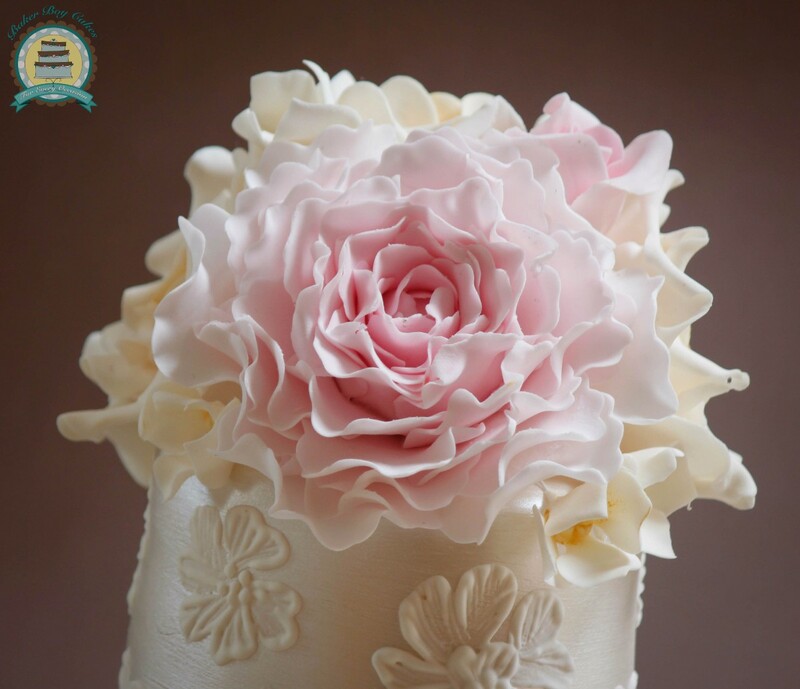 You can decide from a range of cake flavor’s and be confident in knowing that whatever you choose in both flavor and design, it will be freshly made to your requirements, just for you. I work from a fully HSE (Health Service Executive) approved, fully insured Kitchen and I’m Haccp trained to the latest standards. 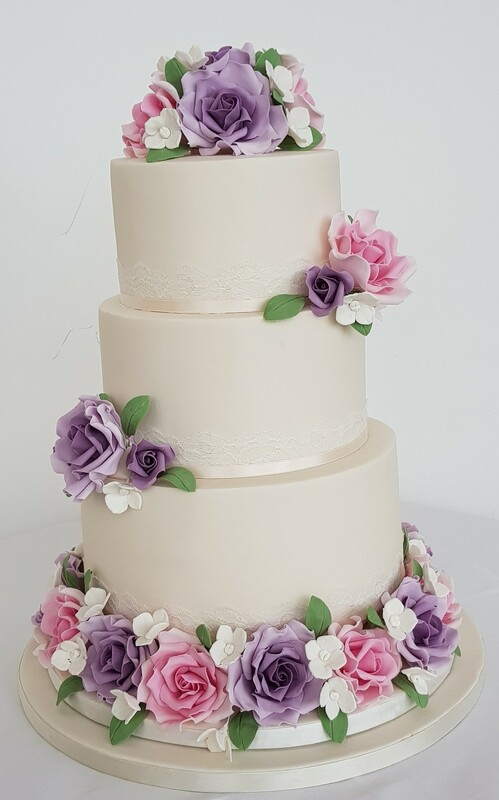 Brian created our cake for our wedding on March 8th. We cam to him with some ideas of what we wanted and he executed perfectly. The cake was delicious, and all our guests agreed. We highly recommend Brian. 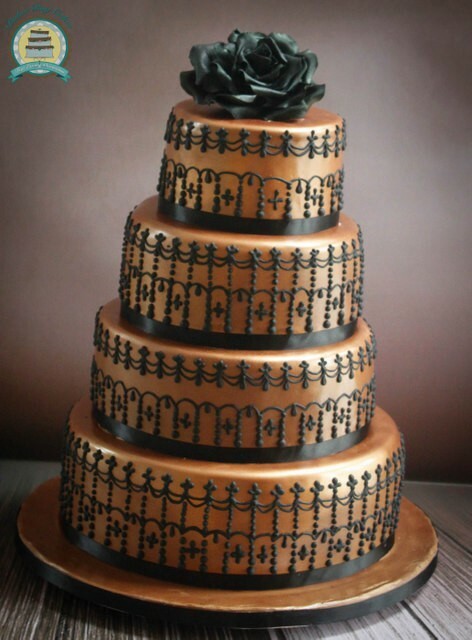 We picked Brian to do our wedding cake and we were so delighted we did. Brian was so helpful and accommodating. 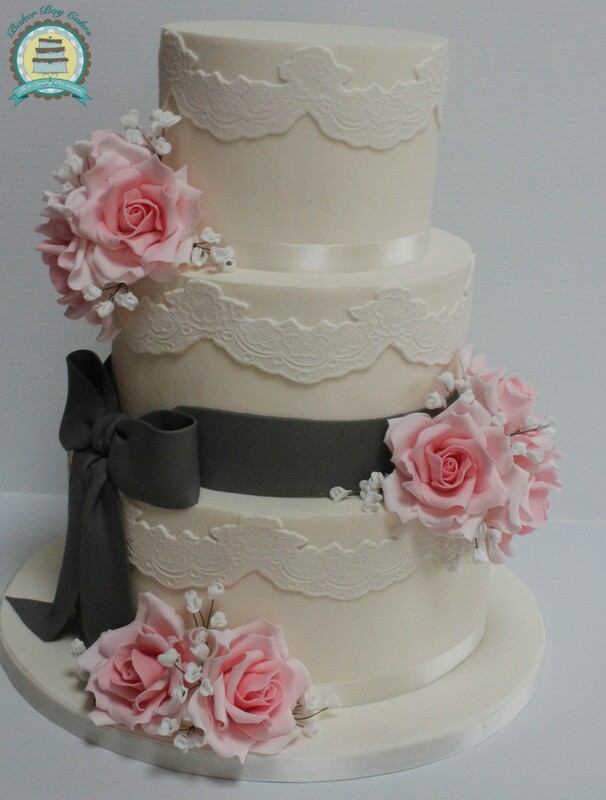 We chose a three tiered cake, with tiers of chocolate biscuit cake, lemon curd sponge and a white choloclate biscuit cake. Brian accommodated our requirements and the chocolate biscuit cake was made gluten free. It tasted amazing!!! 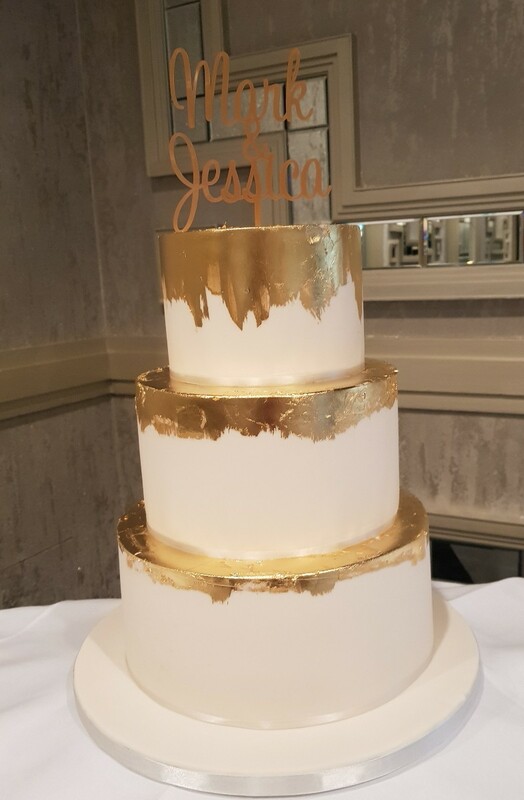 So many people commented on the cake and asked where we got it! A huge hit! I would not hesitate to recommend Brian as is work is simply amazing. 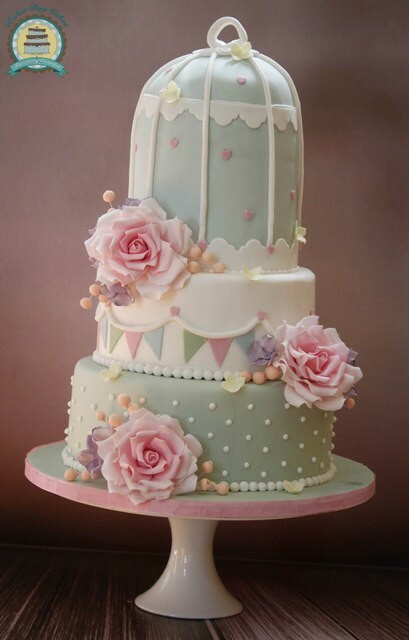 Delicious cakes and fabulous designs. 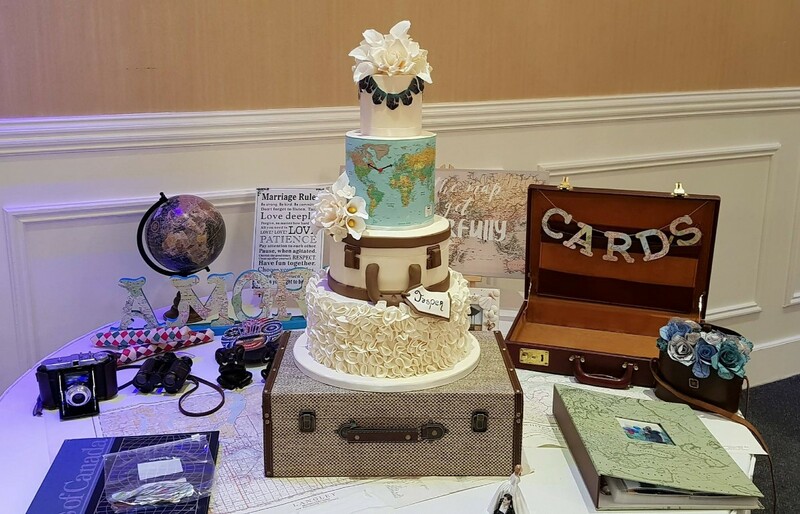 We were delighted with our car, especially as I planned the wedding from over seas and did not get to taste in advance, but I was over the moon with the look and taste of the cake and cupcakes we received. 2days before the wedding Brian called to finalize last minute details and asked about my flowers and was able to tie in the cake docoration beautifully. Thank you ???? Brian was amazing to deal with. He made it so easy,especially planning a wedding from Australia. 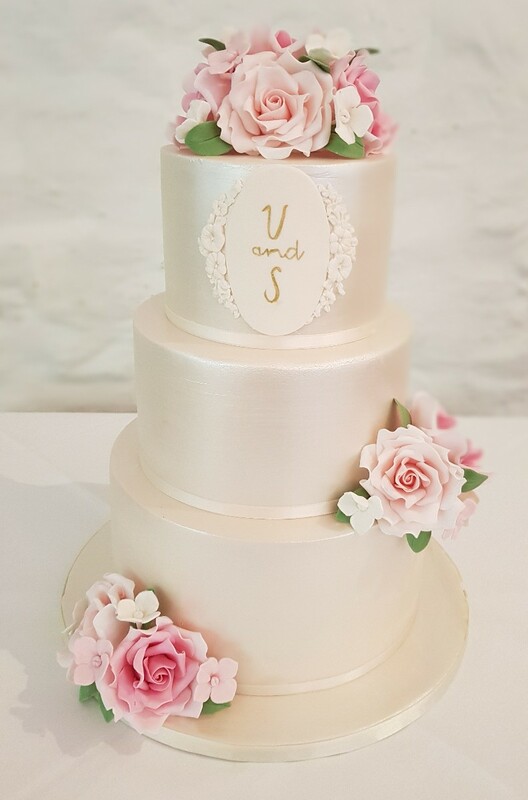 Our wedding cake looked exactly as we wanted and it tasted even better!! 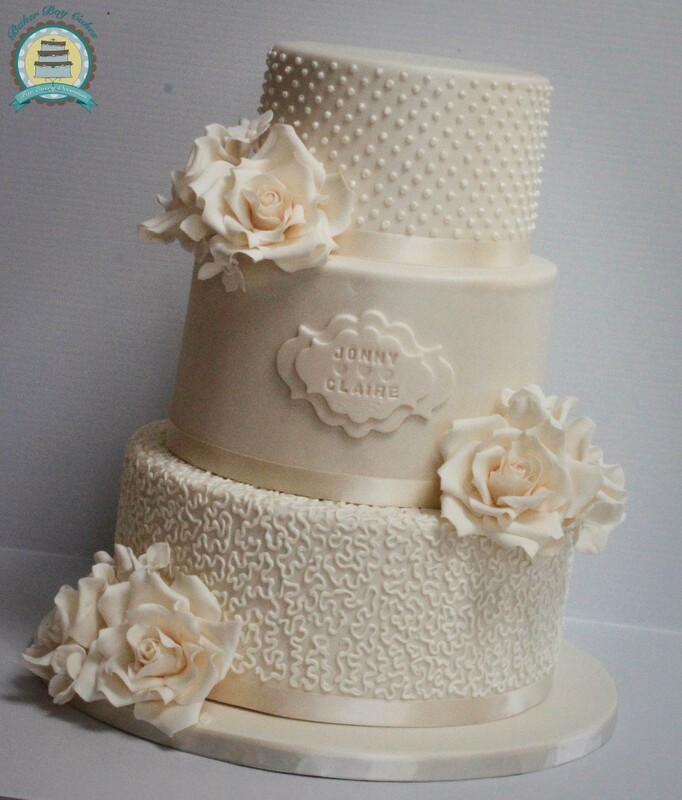 We are so happy with the service and will highly recommend Baker Boy cakes to everyone! Brian did a brilliant Job on the cake - it looked and tasted fantastic which a lot of our guests commented on. We found Baker boy Cakes to be very helpful and accomodating to any changes requested. We also had to have minimal input which is something which suited us. I would highly recommend. Brian was an absolute pleasure to deal with and his attention to detail on the cake was amazing. I gave him my idea and he went above and beyond what I wanted. The flavors were delicious everyone is still talking about the cake. I would definitely recommend him to anyone. Brian was a pleasure to deal with so professional and friendly and so talented. I gave him an Idea of what we wanted and he went above and beyond. The flavors were delicious and everyone was talking about the cake. I would definitely recommend him. Brian was very open and accommodating to our requests the standard of his baking was top class and its a testament to this standard that we were left with no delicious cake after the wedding. 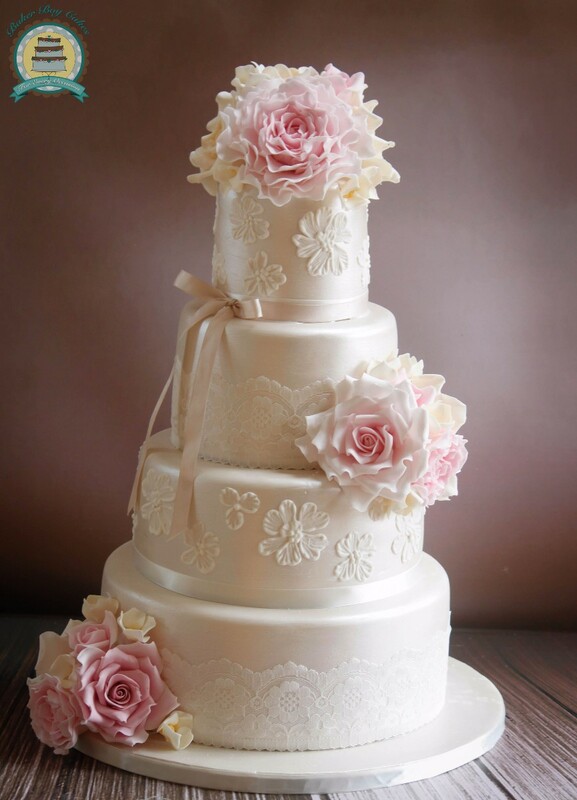 Always responsive to queries and friendly throughout we cannot say enough about Baker Boy Cakes. Brian was extremely accommodating with what we wanted for our wedding cake. It turned out absolutely amazing and everyone was complementing on how beautiful it looked and tasted. 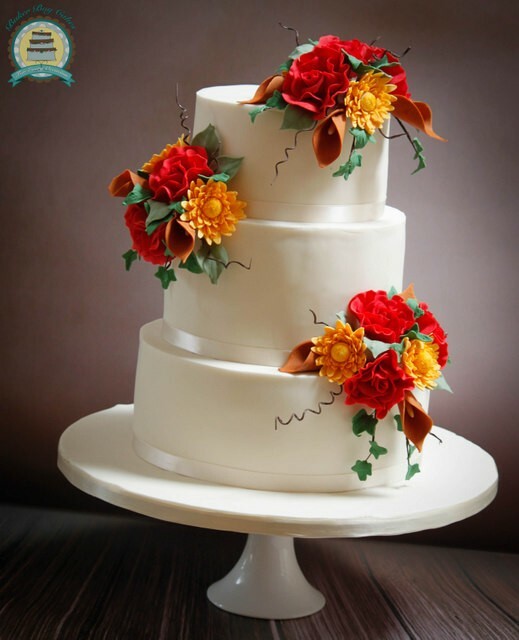 I would have no hesitations in recommending baker boy for cakes for all occasions. Brian is a gentleman, a pleasure to deal with. 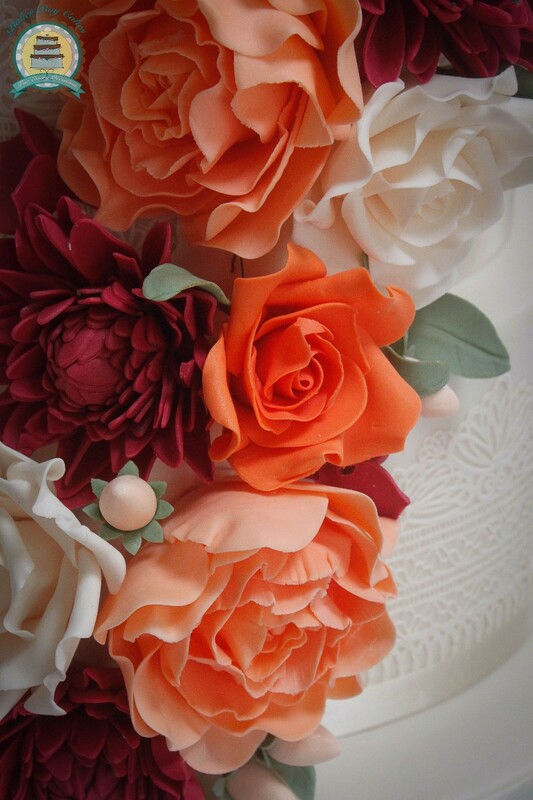 He took a picture I had and a colour scheme and he made the most beautiful cake I'd ever seen. It tasted just as good as it looked. Everyone commented on the cake and some were even able to guess who made it as Brian is well known for his amazing cakes. He is so talented. I would recommend him to every future bride and groom. He won't steer you wrong and you will be amazed. 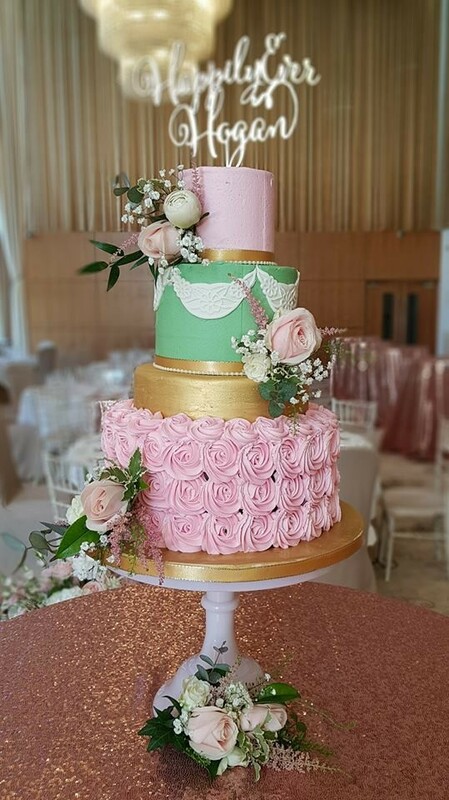 I would highly recommend Brian, I got him for my daughter's communion and our wedding and the cakes were unbelievable. Will definately be getting Brian again in the future. 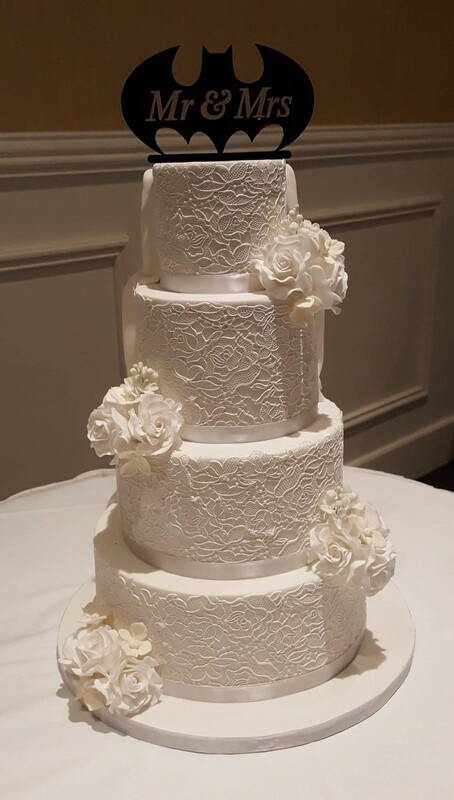 Brian’s wedding cake he made for our wedding day looked amazing and was delicious! All of our guests commented on how fab it was. Exactly what we wanted and more. Brian is very talented and highly recommended! Thank you Baker Boy! Brian made us the most amazing wedding cake. We went for our consultation with a few ideas and left feeling so happy and excited! He's so so creative and the cake looked amazing and tasted out of this world. All our guests were raving about the attention to detail and of course the fact it tasted so so good. Needless to say it didn't last long!!! !5stars from us ???? I met Brian at a wedding fair one and a half years ago. After seeing his work and tasting his cakes I was sold! I booked Brian for our wedding. We live away from home, so I didn't have time to meet Brian after booking him. 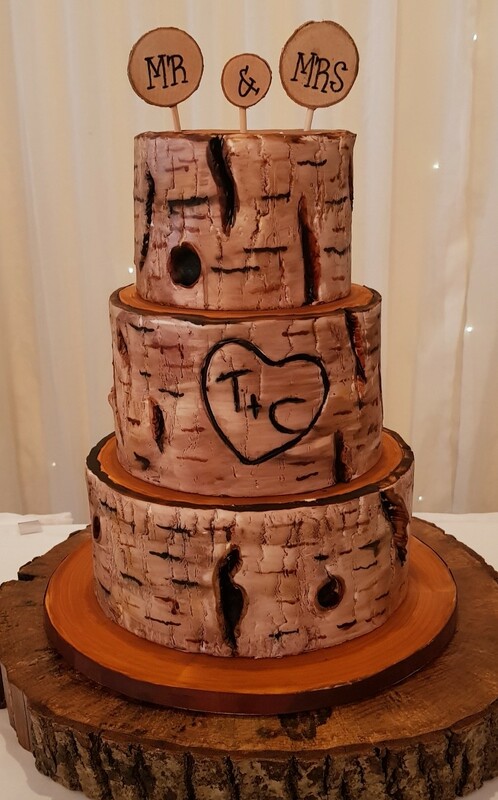 I ordered everything online with Brian, I explained the type of cake I wanted and he was able to accommodate us and accomodate our dietary requirements-we needed a gluten free teer! Brian was always professional. 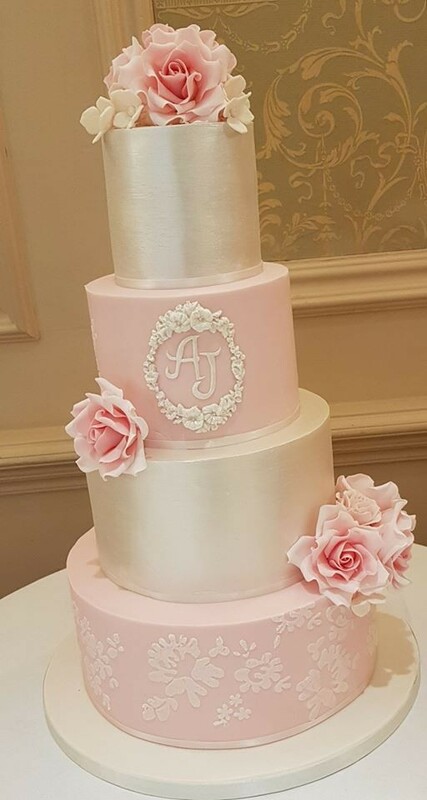 He delivered the cake to the hotel for us and the wedding reception was the first time we saw the cake! It was better than I had imagined and it tasted fabulous! 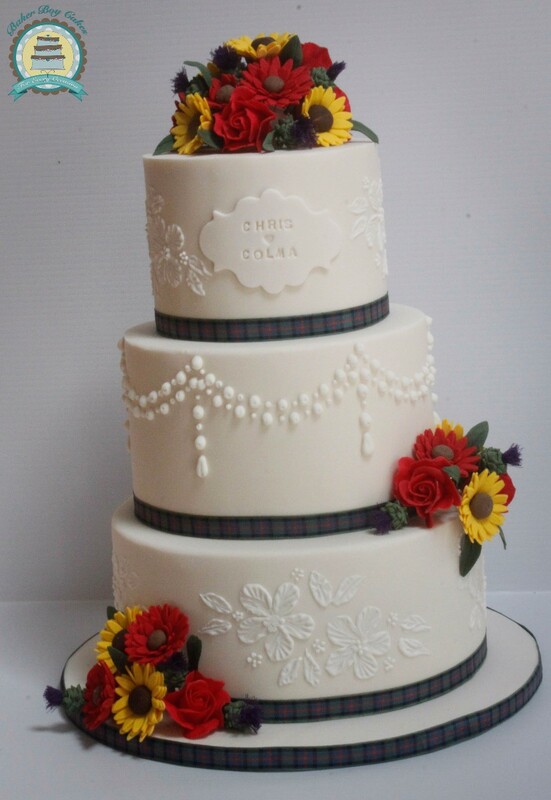 The cake design was top quality and we are still getting compliments about the cake! I didn't have to worry or stress about the cake when dealing with Brian, he was always professional! 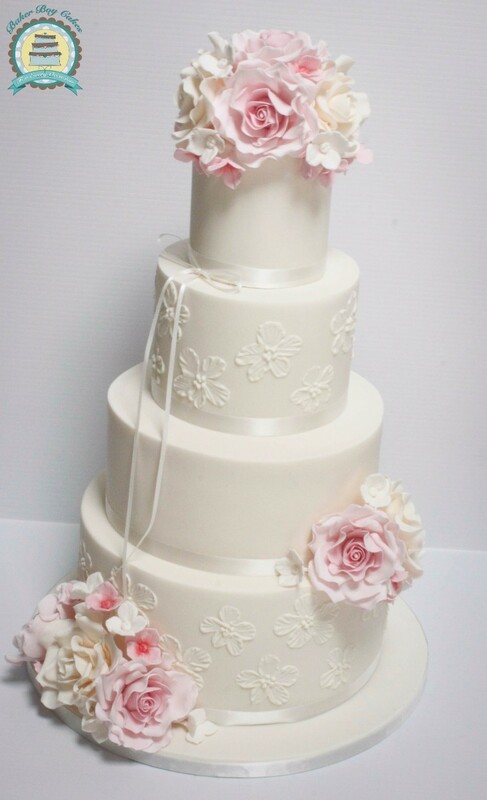 We can't thank Brian enough for the amazing quality of his cake and service. Brian offered us this service at a great price and we really got value for money! 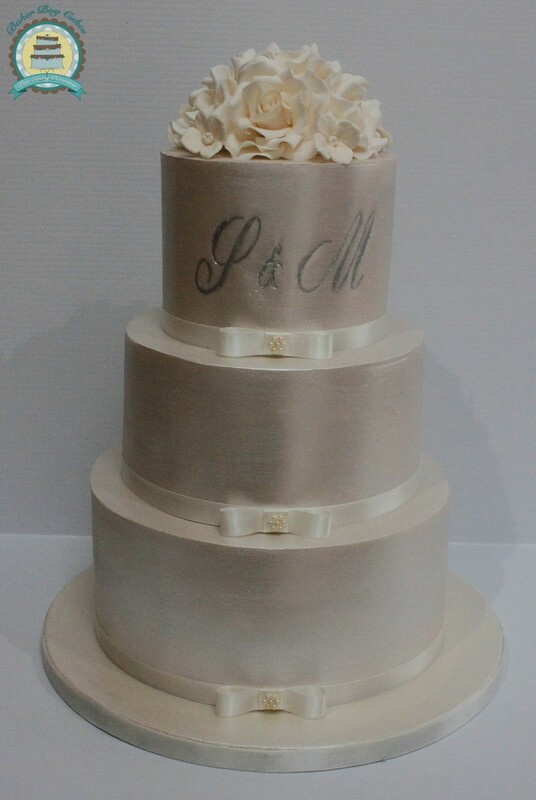 I wouldn't hesitate to recommend Brian to anyone, for great design, great taste (our cake was delicious) and value! Brian is absolutely fantastic to deal with. Nothing is too much trouble. 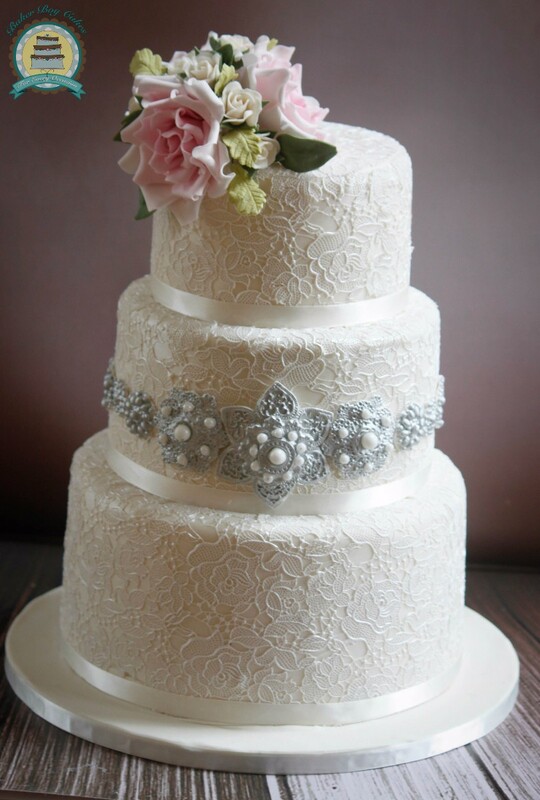 We loved our wedding cake it looked gorgeous and tasted unreal. 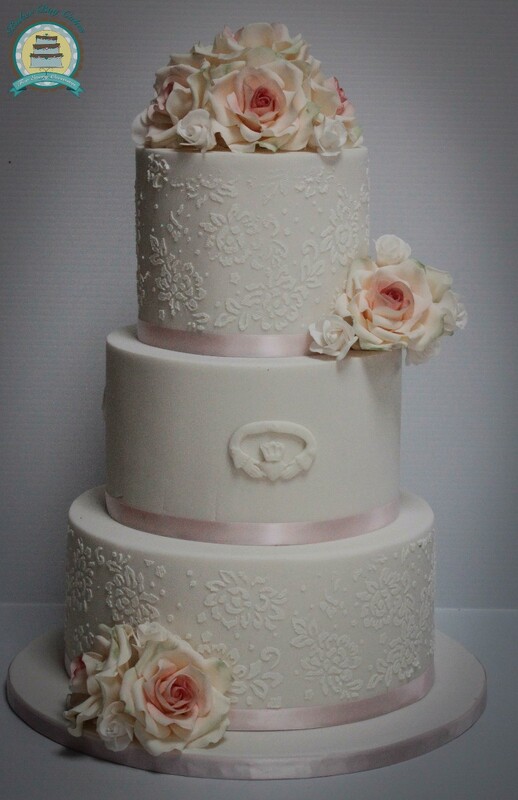 We want to thank Brian at Baker Boys Cakes for making our amazing wedding cake. Brian gave us a cake which was elegant, with a touch of colour and amazing to look at, the combination of flavours were out of this world. Our guest couldn't get enough and the complements were many. Thank you again for your professionalism and amazing service. Brian has a huge choice of cake types and flavours. 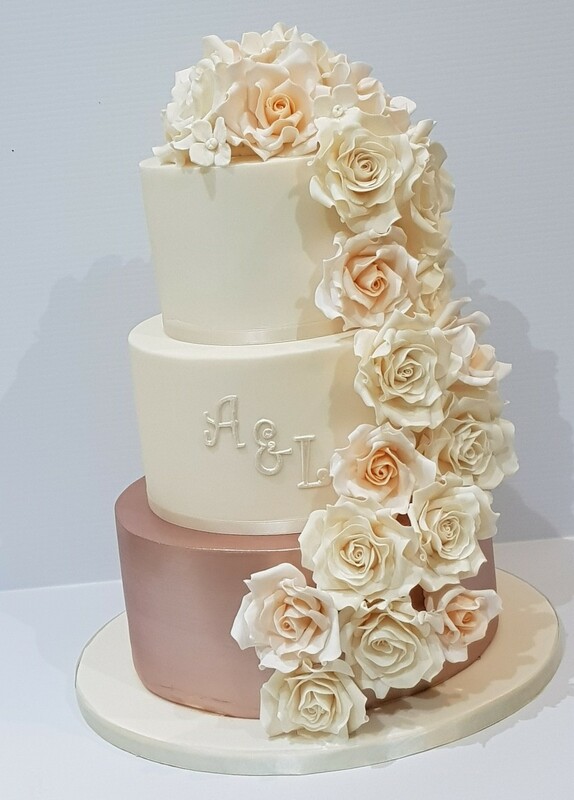 Our cake was beautiful and he was really easy to deal with and so accomodating and professional. Also great value for money! 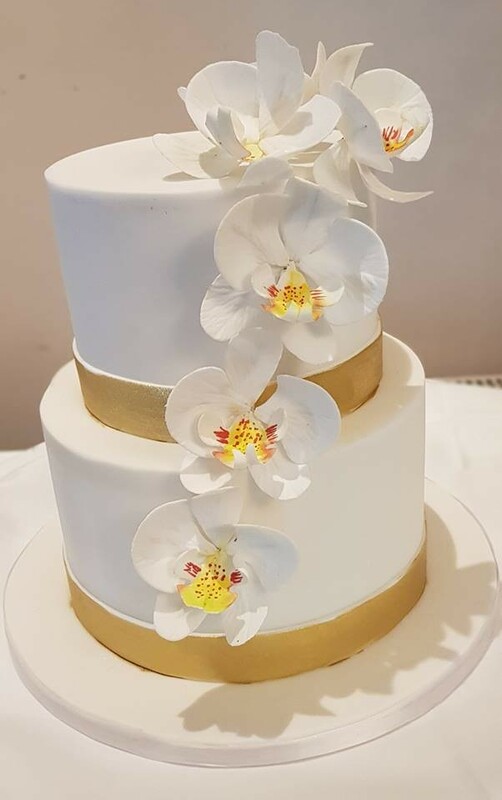 Brian was fantastic to deal with nothing was a problem.i organised the cake for my sisters wedding and Brian was available with any questions and ideas.One the day the cake was absolutely outstanding every detail was just perfection. 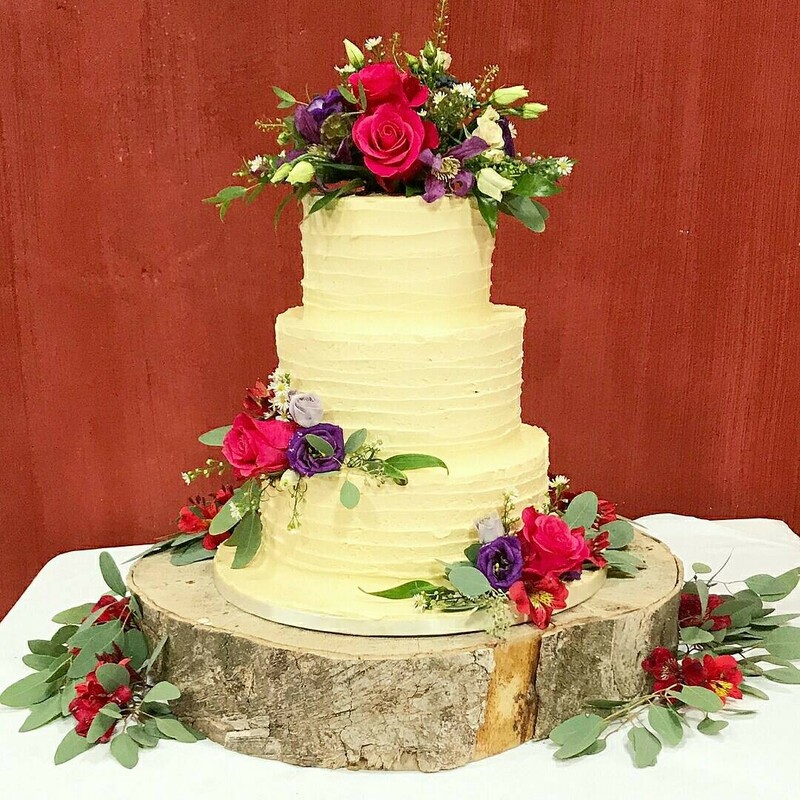 Brian made our wedding cake for us at the start of September and I cannot say enough about how amazing it tasted. From start to finish, Brian was so accommodating and professional. We both live in the UK so it was hard for us to find the time when we could meet Brian and decide on the cake. While this could have been stressful, Brian was great and went out of his way to help and dropped off samples so we could taste them all. 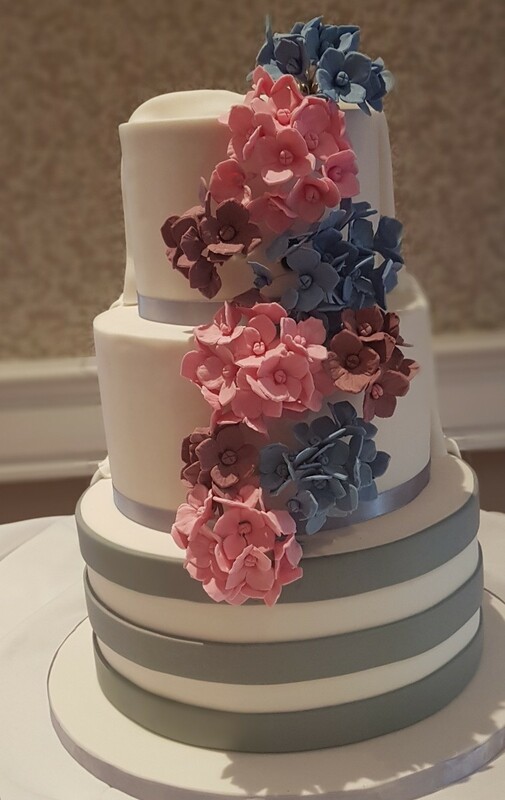 It was so difficult to decide as they were all amazing, but we eventually narrowed it down and on the day the cake looked and tasted amazing. 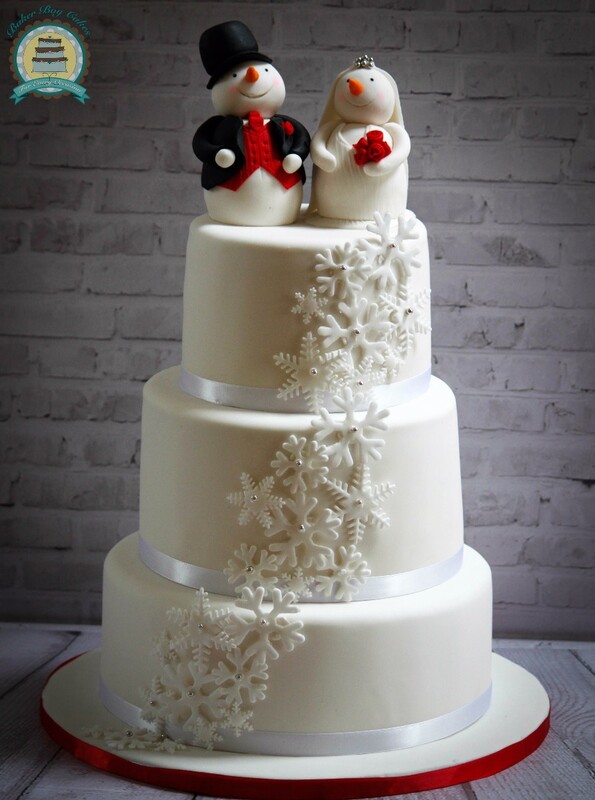 We can not recommend Brian enough to anyone trying to decide on their wedding cake. Everything was perfect. 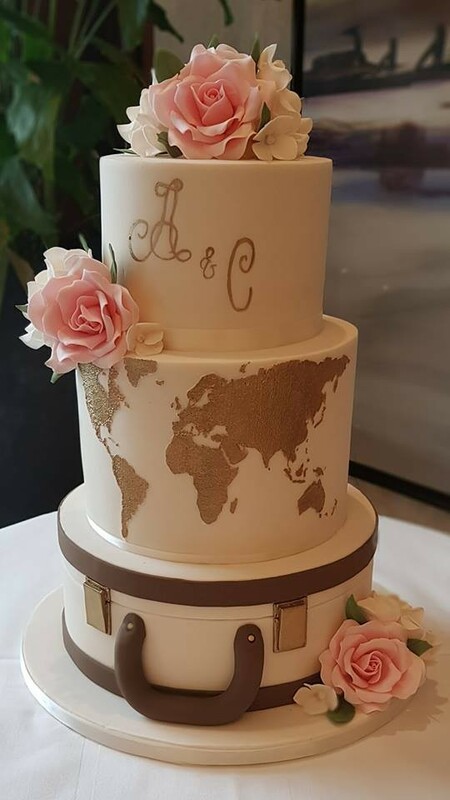 Our wedding cake was the most amazing cake we and all our guest have ever tasted! 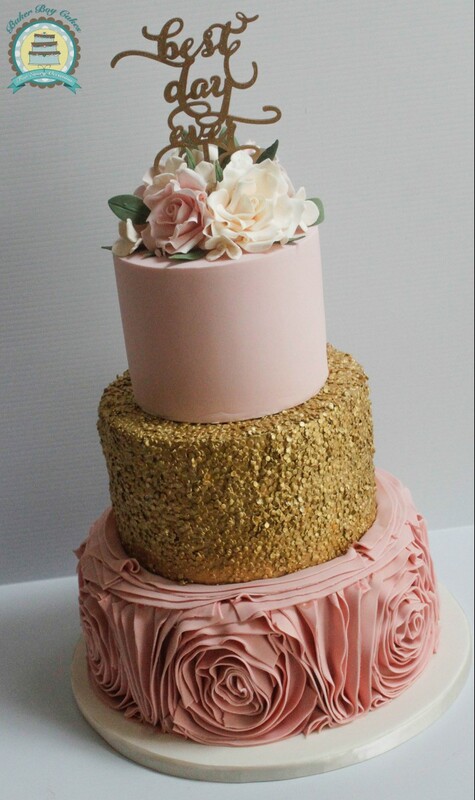 We got so many compliments over the look and taste of our cake. Brian is so friendly and really easy to deal with. I can't wait to get the kids birthday cakes from him! I would highly recommend Brian, he was amazing and very professional to deal with. He came to our venue to set up the decorations on the cake the morning of the wedding, leaving nothing to chance. He has a large selection of cakes but we went for chocolate fudge. We served it as our desert and our guests loved it. We were only devistated when we had none left over! 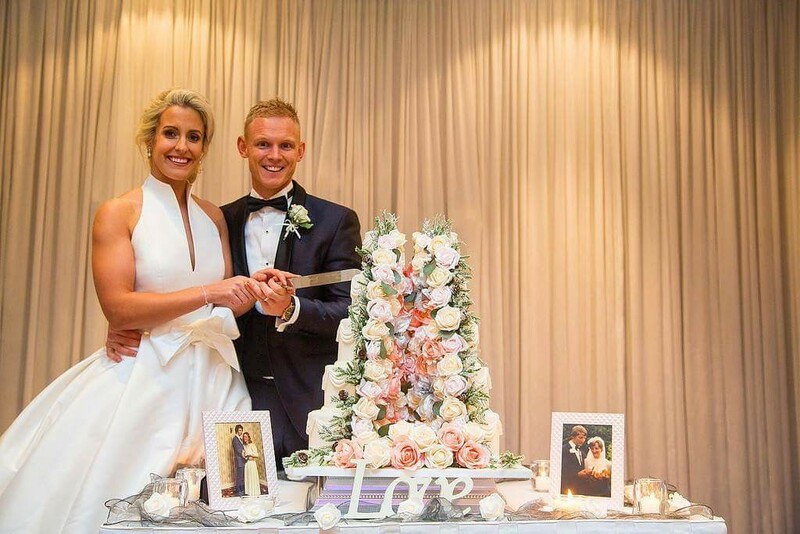 We chose Baker Boy for our Wedding in Jacobs on the Mall in Cork City in August. 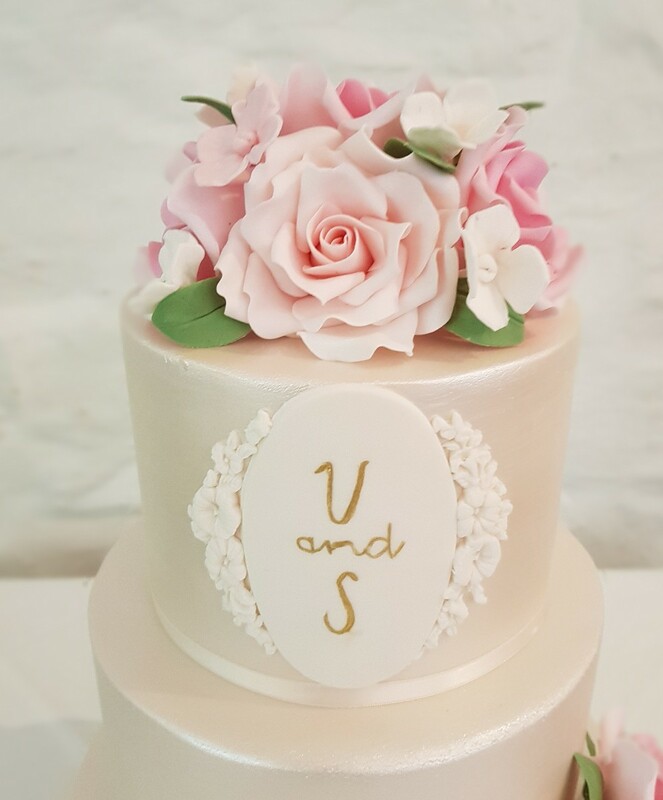 We tasted his white chocolate biscuit cake at a friend of mines wedding and knew we wanted him for our wedding. He made a gorgeous blackberry buttercream cake with fruit decorations for us. He also helped tie in a fruit cake made by my Mum and Aunts. Brian was really helpful to deal with and I would highly recommend him. Brian made our dream wedding cake. From start to finish he was so helpful making our experience so enjoyable and tasty!! The cake itself was exactly what we wanted and the fillings inside were second to none. 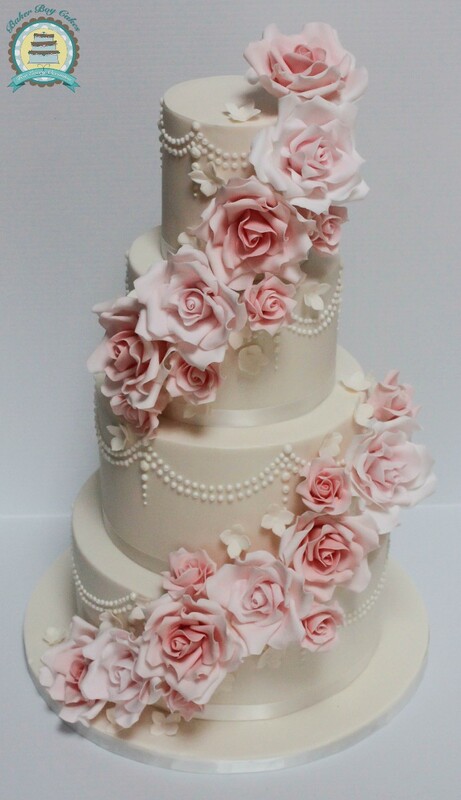 I couldn't recommend the baker boys enough, any couple looking for a wedding cake, Brian is the man. Brian is very professional to deal with. we were delighted with our cake design and it was delicious. Brian was absolutely fantastic to deal with and our cake was amazing - Thank you! 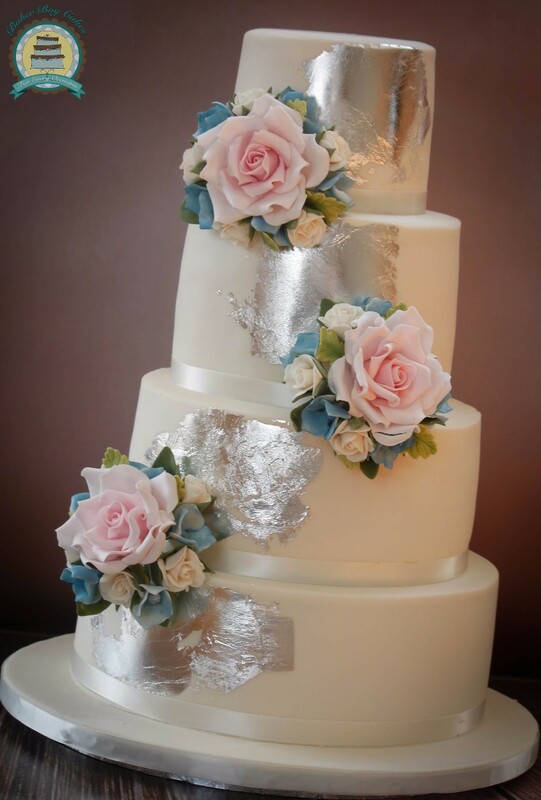 It was a pleasure to deal with Brian when decided what I wanted with my wedding cake. 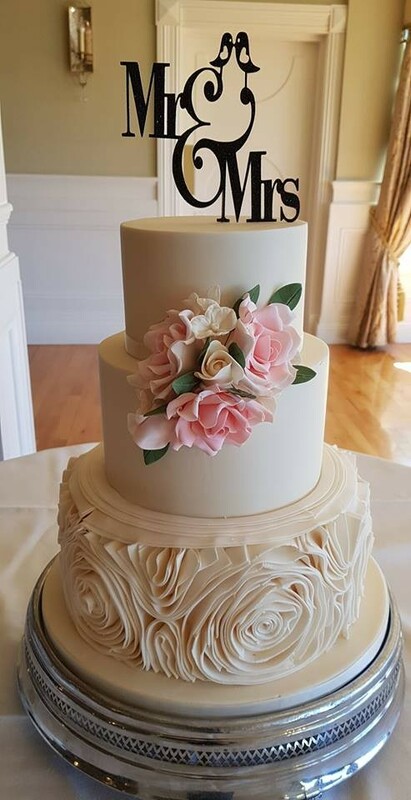 On the day the cake was perfect. I would recommend Brian to anyone getting married. His cake are Devine and taste delicious. 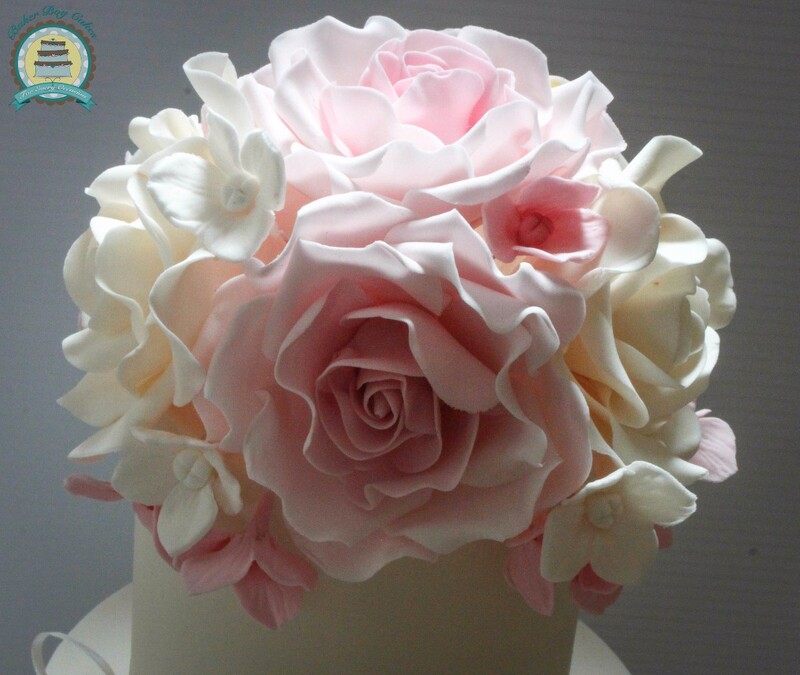 Brian at Baker Boy Cakes is one of the best in the business. From initial consultation right through to delivery, his attention to detail and professionalism was second to none. The cake, both in flavour and design, was beyond impressive. 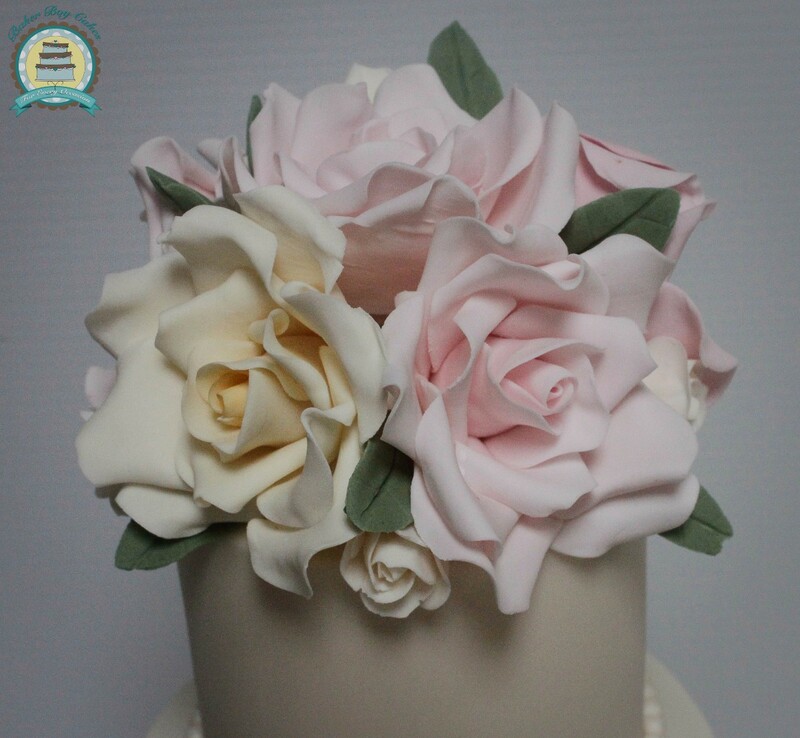 I would recommend Baker Boy Cakes to anyone! 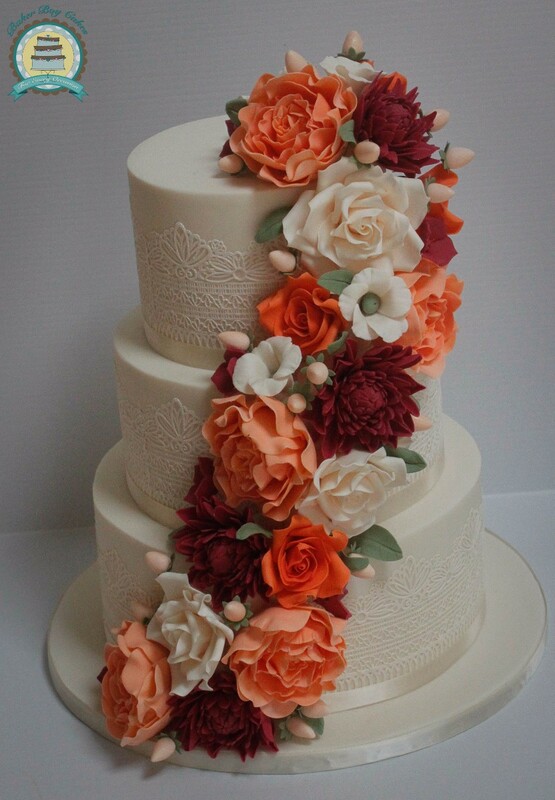 It was an easy decision for us to go with Baker Boy Cakes for our wedding cake. 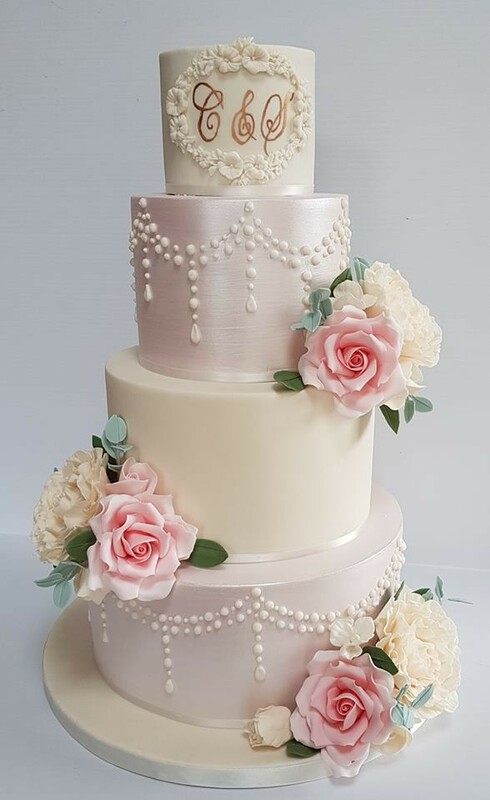 He has such a variety of delicious flavours and his attention to detail is fantastic in getting the cake design just right. 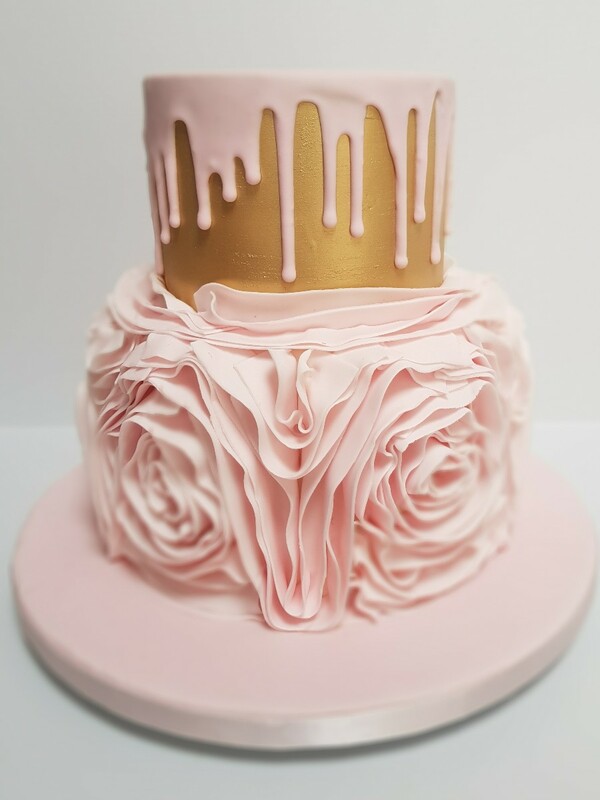 In particular, we found the cake tasting session delicious but also really easy to allow us to settle on a cake design and flavours. 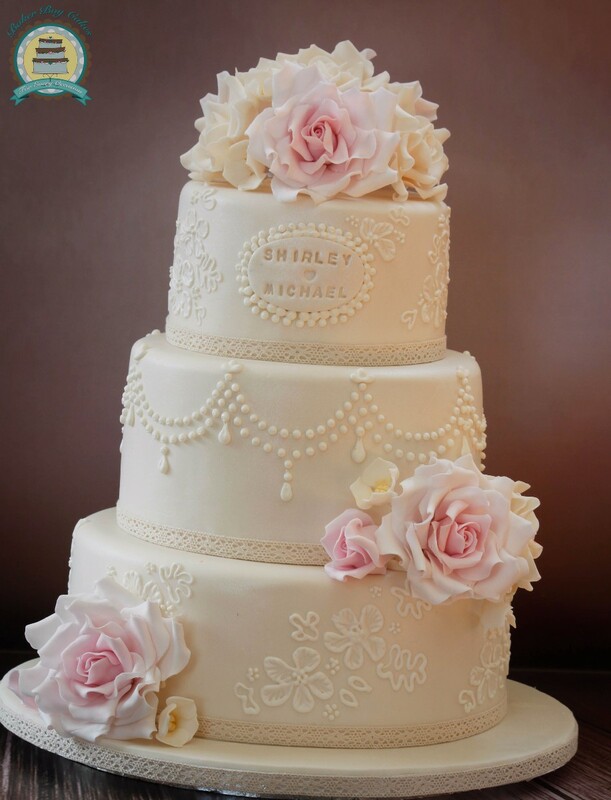 Brian really is a true professional and all our guests remarked on the beautiful cake and the taste. 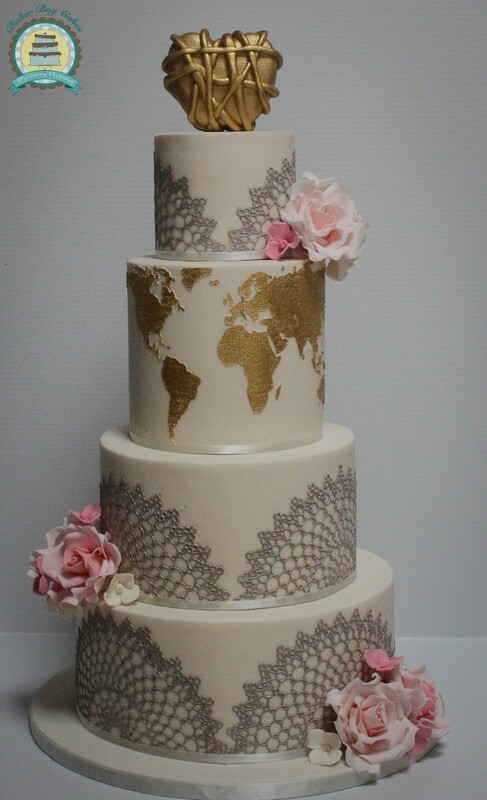 Absolutely fantastic wedding cake. It looked amazing and tasted amazing. We had so many comments from our guests and every last crumb was eaten. We were planning the wedding from the uk and Brian made it all so straight forward and easy for us. Thank you so much. 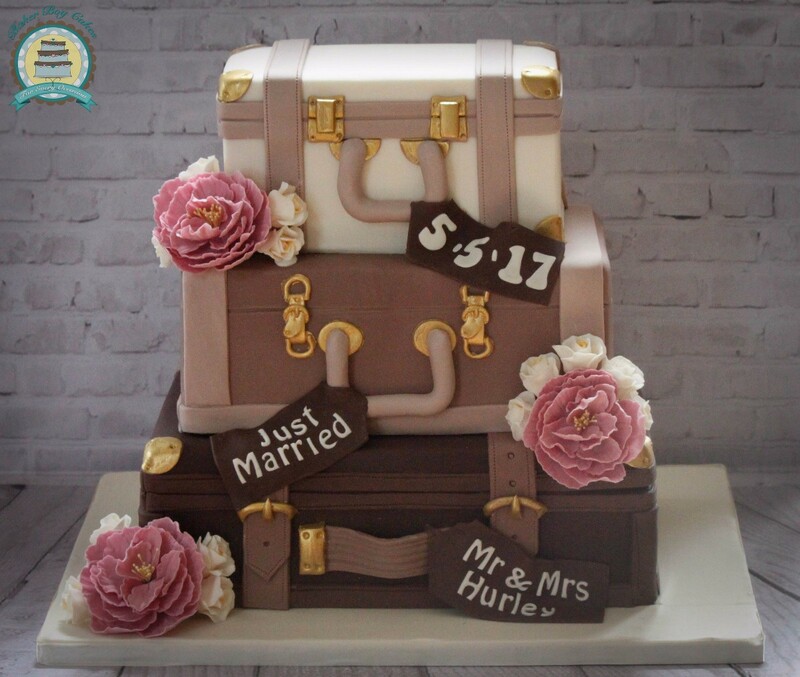 We had our wedding in August in Garryvoe Hotel and Brian provided us with an amazing cake. He is outstanding at what he does! 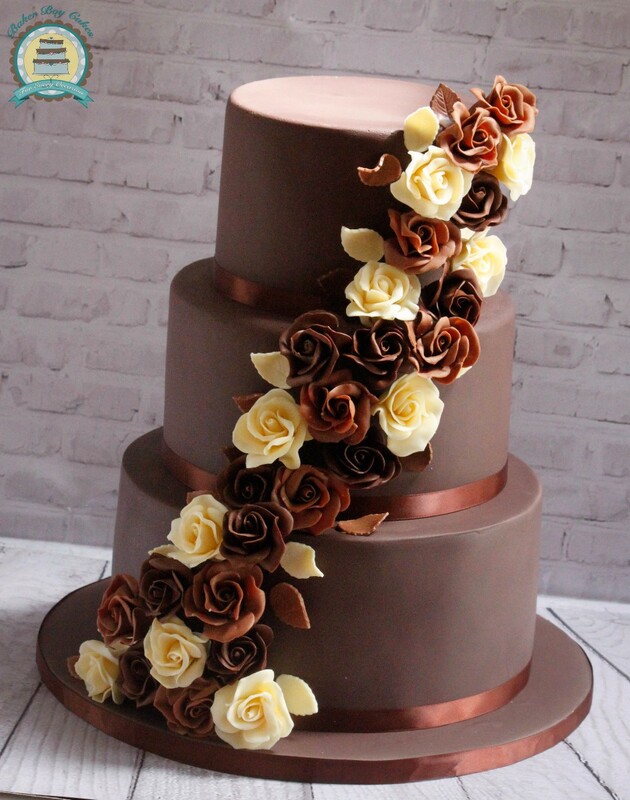 Nothing was too much trouble for him, he did a 3 tier cake, chocolate biscuit, salted caramel fudge and lemon. His attention to detail is second to none and he truly goes above and beyond for his customers. I would highly recommend Baker Boy to anyone, you won't be disappointed. Brian was given a brief and he smashed it. He delivered our cake and I bawled as it was so amazing. So unique and personal, exactly what was asked and he was always on the other end of the phone if I needed him. My cake was legendary, just like he is. 200% would recommend Brian. The attention to detail on the cake was amazing let alone the taste. Absolutely fabulous. 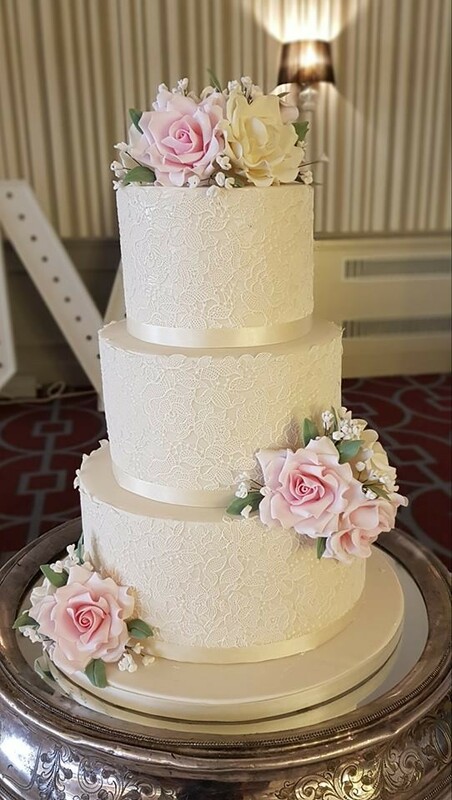 Brian produced an absolutely fantastic cake that we got loads of great comments about, it really was the 'icing on the cake' for our wedding theme, and we will remember it as being a highlight of the wedding. 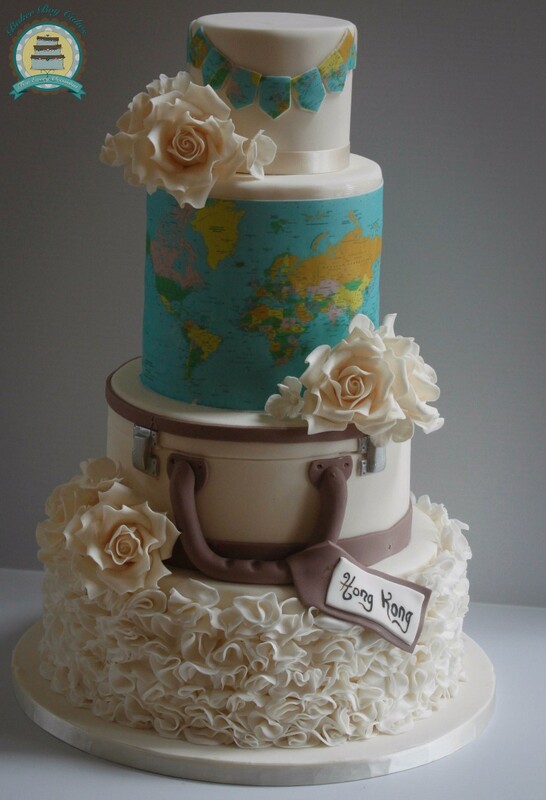 It was travel themed, and as well as looking good, it also tasted amazing, with each layer being a different flavour. He was professional from beginning to end and I cannot recommend this talented man enough! 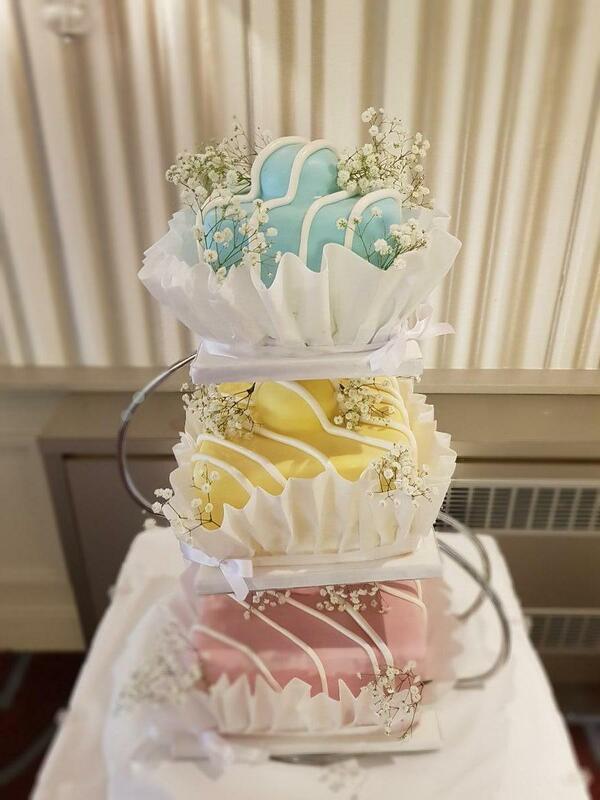 We had Baker Boy cakes make our cake for our wedding day, it was truly amazing. 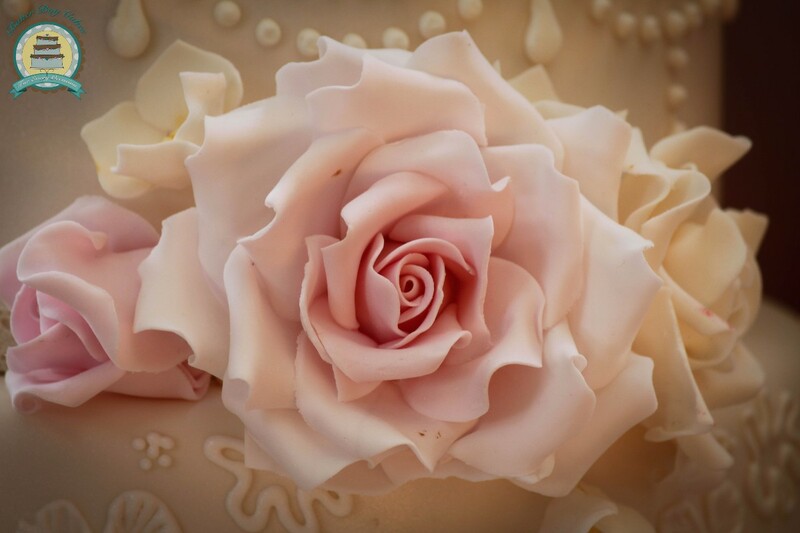 The level of detail Brian puts into his cakes is exceptional he is gifted and he goes above and beyond. The cake tasted amazing also and everyone is still talking about it. 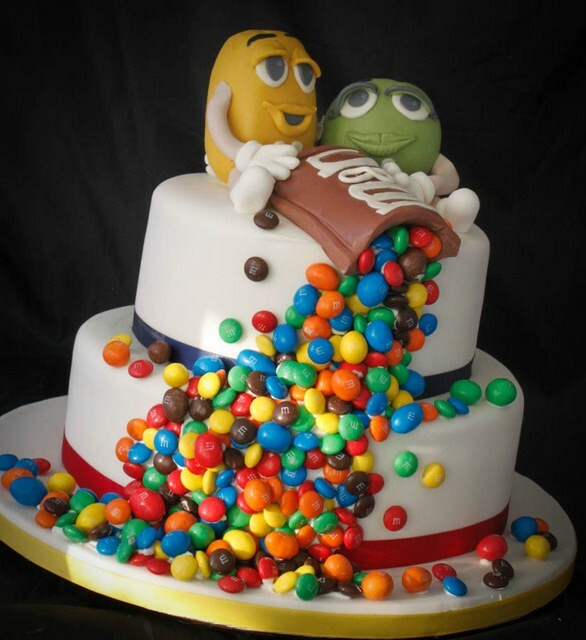 I had another company booked for my cake but was messed around. I'm now so delighted I was messed around as I would book Brian again tomorrow. 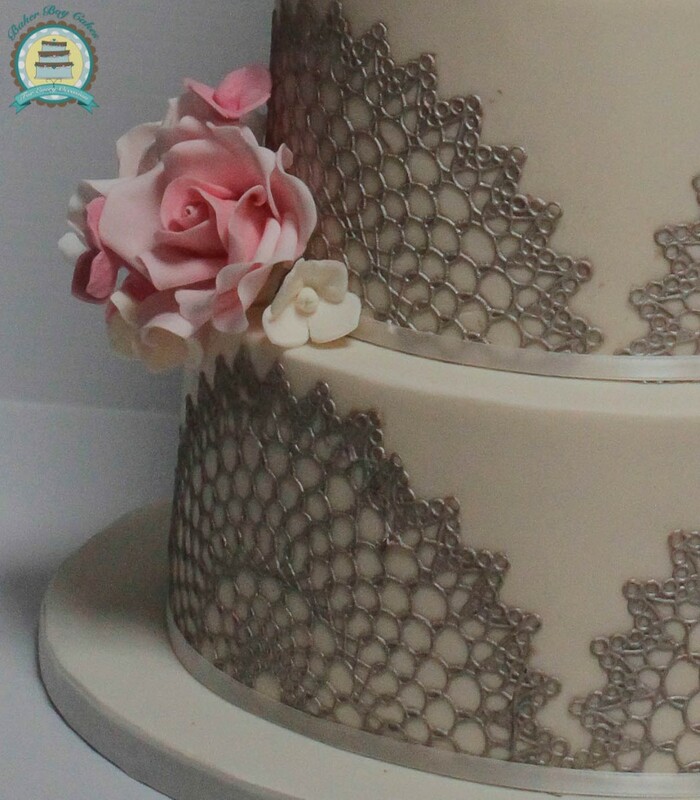 His cakes are also eceptional good value for the detail he includes. Brian (baker boy cakes) was fantastic to deal with. He’s most professional and gave us honest advice about our wedding cake. His attention to detail is impeccable. 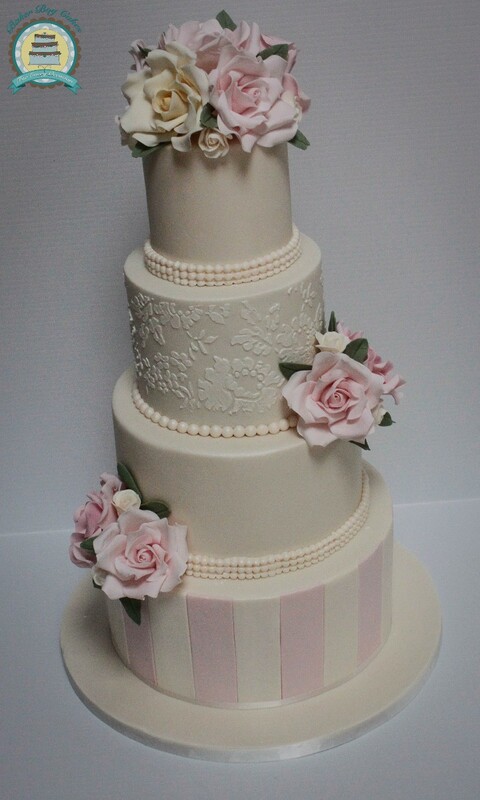 We had a 4 tier, half and half cake - the front had lace, roses and piped beading and the back had shilouette style. 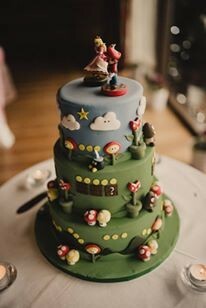 There’s a picture of our cake on his Facebook page, cause its hard to describe. On the inside was milk choc biscuit, white choc biscuit and lemon. Everyone loved it. We highly recommend Brian. 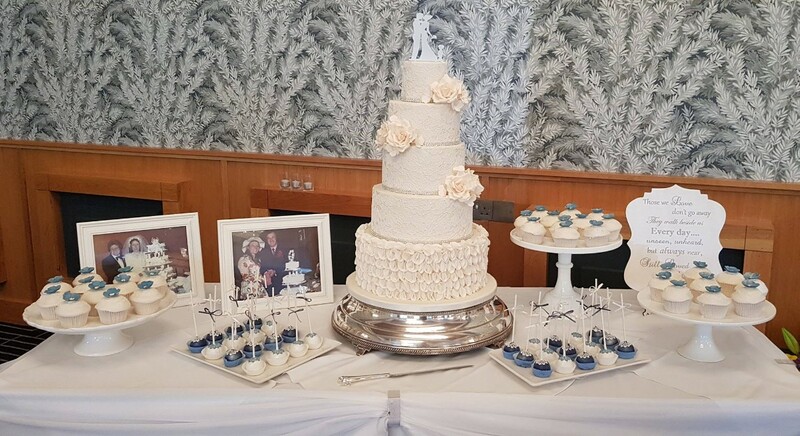 Brian created a wonderful 5 tier cake, cupcakes and cake pops to match. 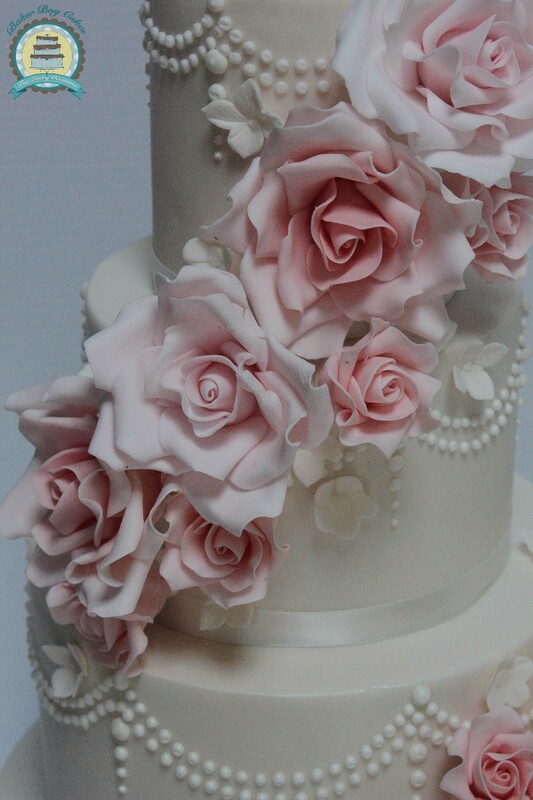 Everybody complemented how stunning our cake was and how delicious it tasted. Would highly recommend Brian for his professionalism and skill. Nothing was too much trouble. He did exactly what we wished for. Brian couldn't have been more helpful in all of our communications regarding my "unusual" request for a themed cake. Nothing was too much hassle and the end result was even better than I could have wished for. Top class. I wouldn't hesitate in recommending them to friends and family for future events. You won't be sorry if you choose baker boy cakes. 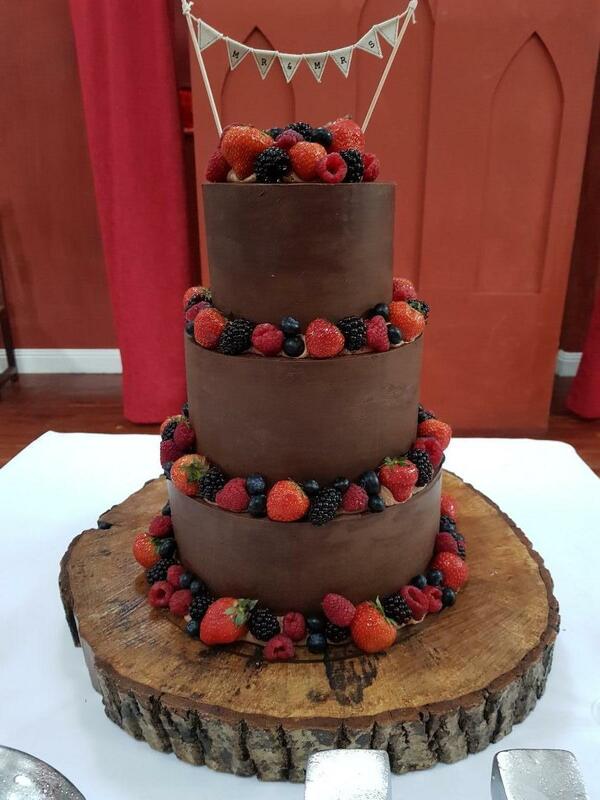 Brian exceeded our expectations for our wedding cake. 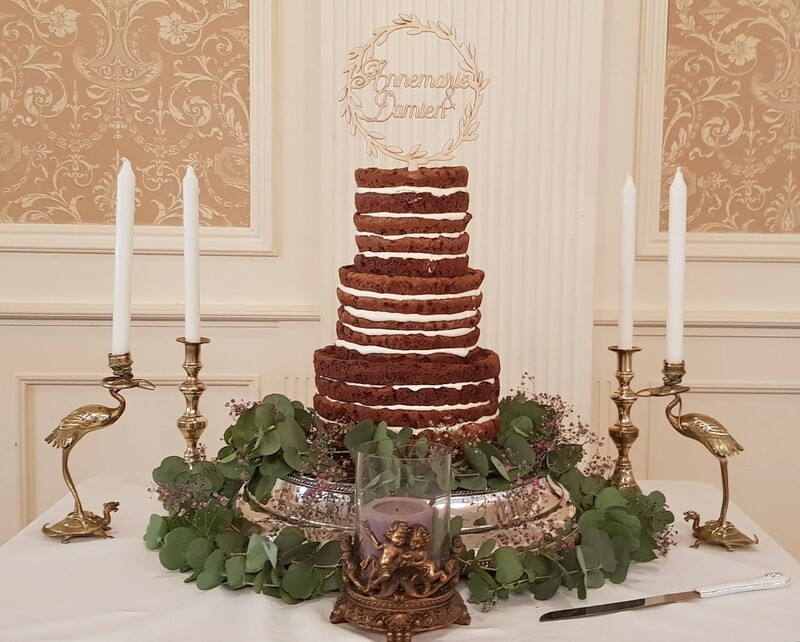 We met Brian and team at numerous wedding fairs and they were more than happy to answer any questions/concerns we had and let us try the beautiful samples they had with them. One of the highlights of the whole wedding was our cake tasting! Brian was so helpful and even though we met Brian after a long day of other couples tasting the cakes he was so helpful. 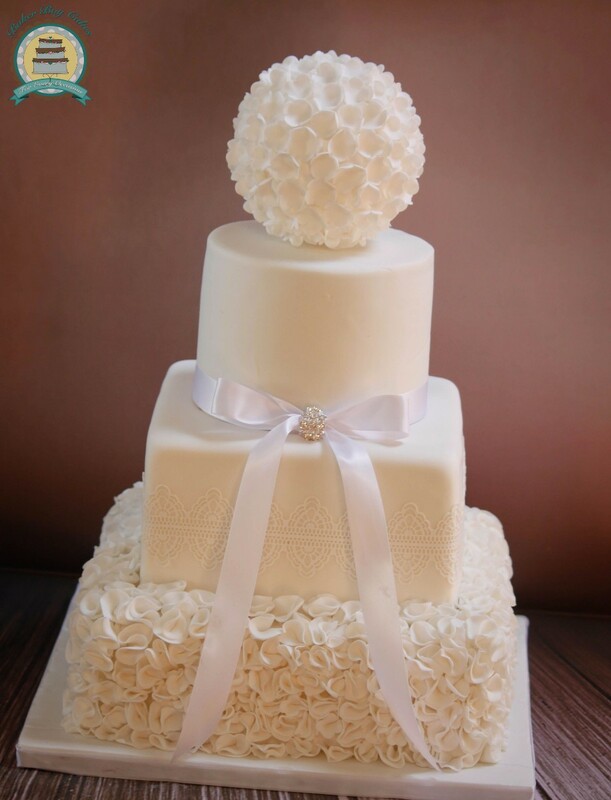 We would definitely recommend Baker Boy Cakes for your wedding day. Brian was so easy to deal with... our car broke down the day that we went to meet him for a cake-tasting and he kindly waited until we arrived. 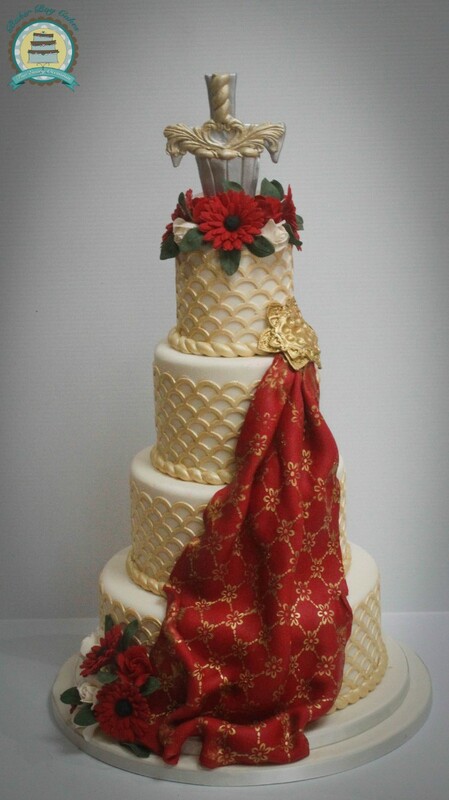 He called me before the wedding to finalise the arrangements and delivered the cake to the venue. So easy. 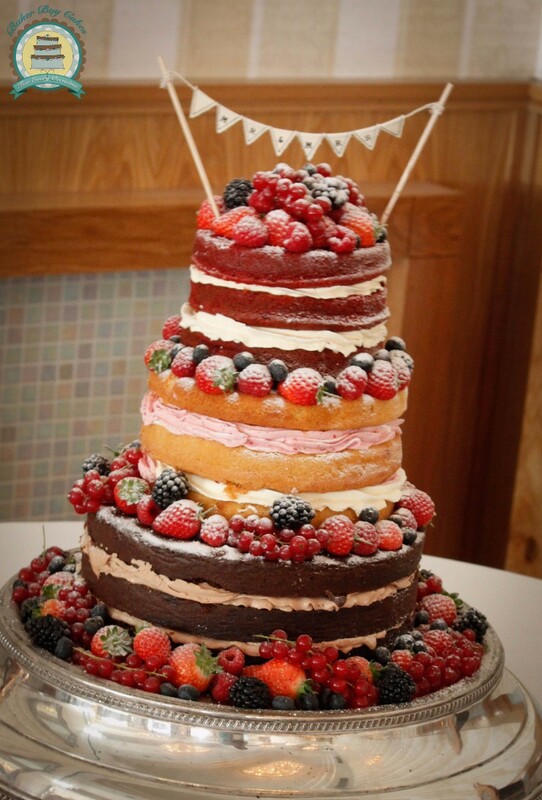 But most impressive of all was the taste of the three tier cake!!! 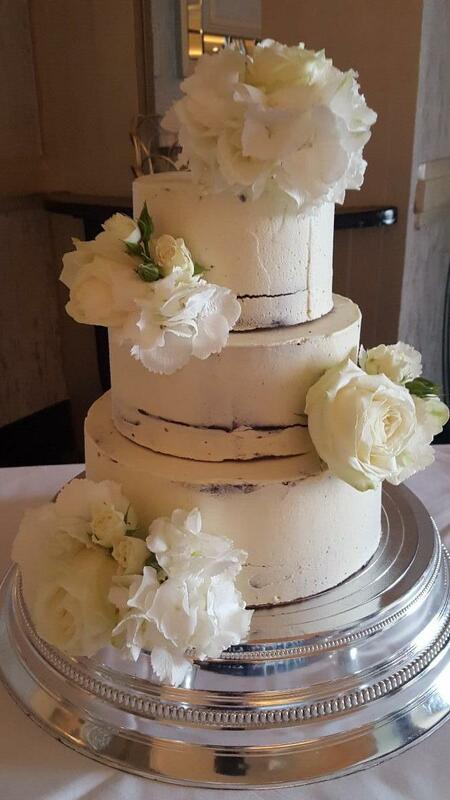 We went with biscuit cake, chocolate and lemon... each layer was the best version of that cake that we’ve ever tasted and everyone raved about how delicious it was (so much so, that my new husband emailed Brian a few weeks after the wedding to see if he could order more cake to share around)!!! 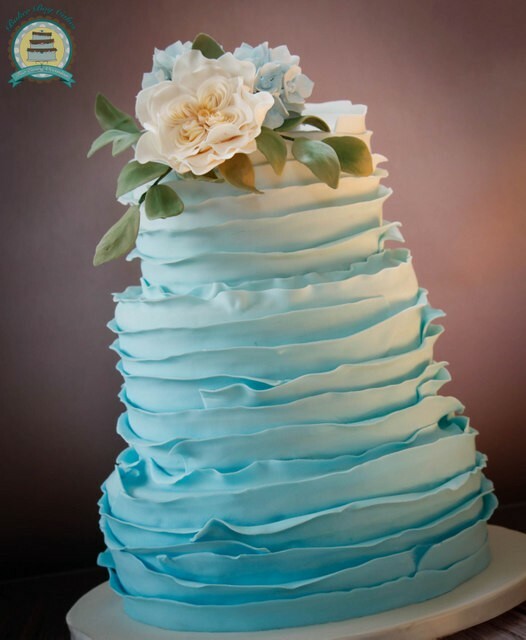 You won’t find a tastier wedding cake than what BakerBoy can create for your special day! Firstly Brian was so accommodating as we missed our first appt. due to the weather and he squeezed us in as we were flying from london. 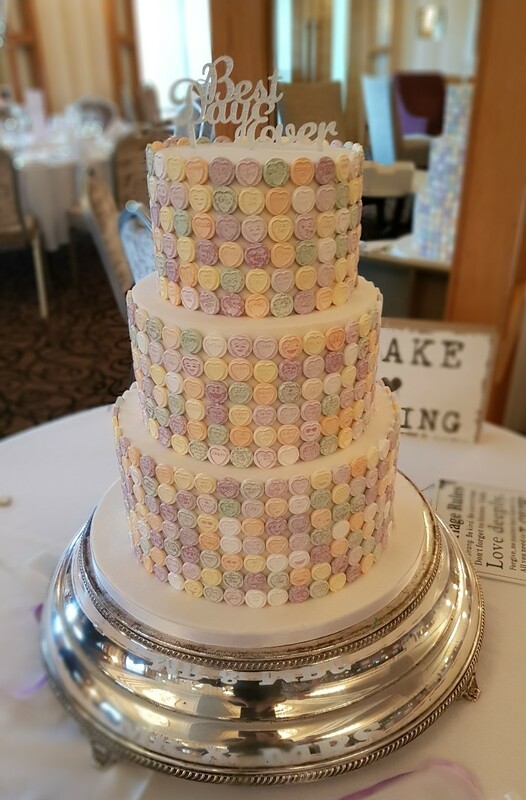 We didn't want a traditional wedding cake and Brian superceeded our expectations it was colourful and exactly how we envisioned it. The cake was amazing, all our guests were blown away. Needless to say it also tasted delicious! Would highly recommend Brian he was a pleasure to deal with and would use him for any special cake occasions in the future. Brian was a gent through the process and gave some fantastic ideas with a service to match. Would highly recommend. Thank you Brian for THE MOST AMAZING WEDDING CAKE. We got married last April. Living in Sydney was no problem when dealing with Brian. He was very responsive to my emails and even organised for us to meet him only a few days before the wedding to taste test. 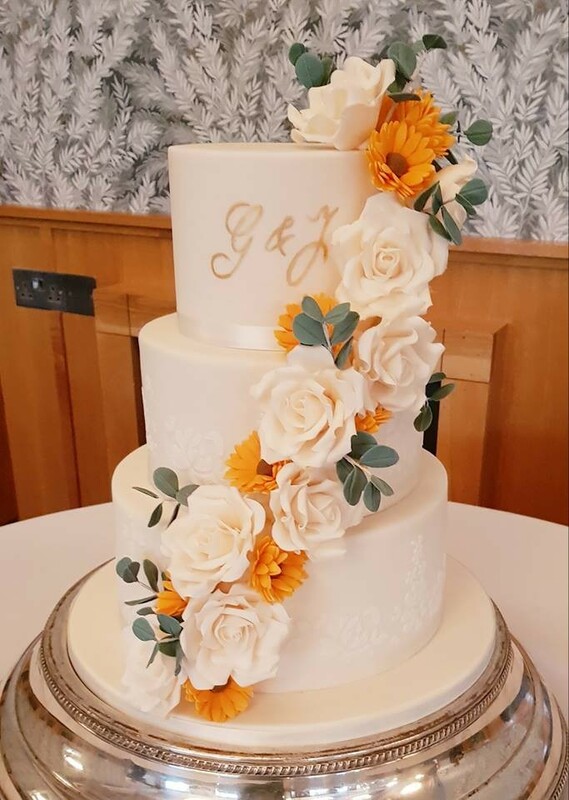 He got flowers to add to the cake to match my bouquet and colour scheme and even organised our topper and set up the cake in the venue the morning of the wedding. And the cake itself... wow!! Chocolate fudge with a salted caramel filling.. it was divine and didn't last too long. 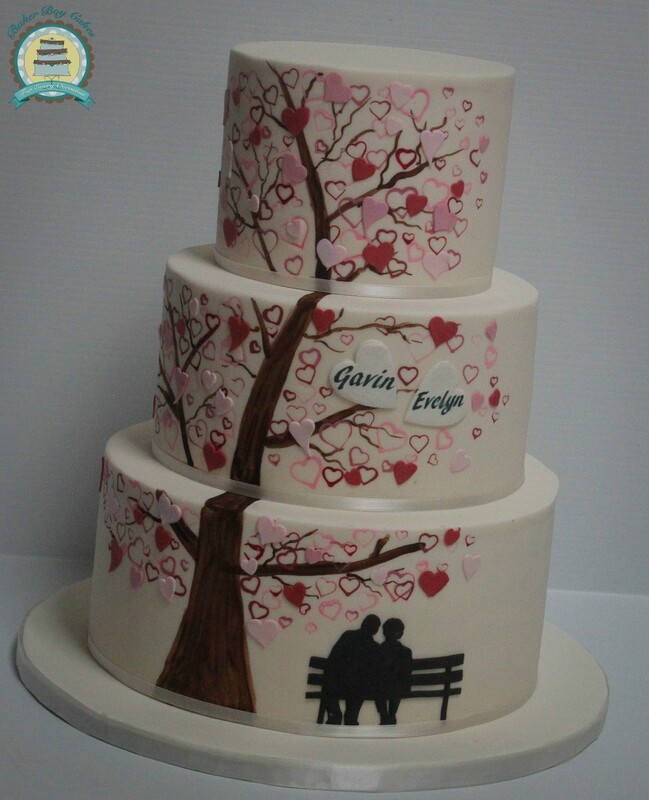 Thank you so much Brian and future wedding couples, check out Baker Boy Cakes, you won't be disappointed! Couldn’t recommend Brian and his services more! He was so good to deal with and such value for money! The end result was literally exactly as described! 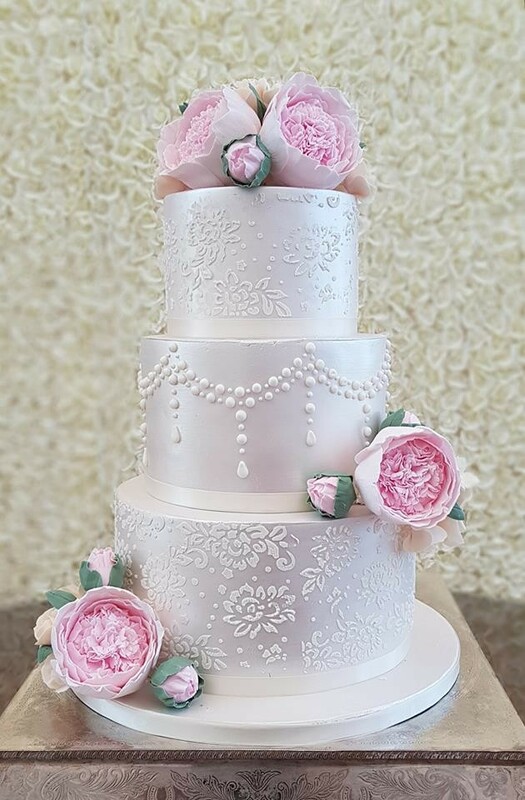 Brian's cakes are beautiful and look amazing too. Almost sorry having to cut it but was worth it when we tasted it. 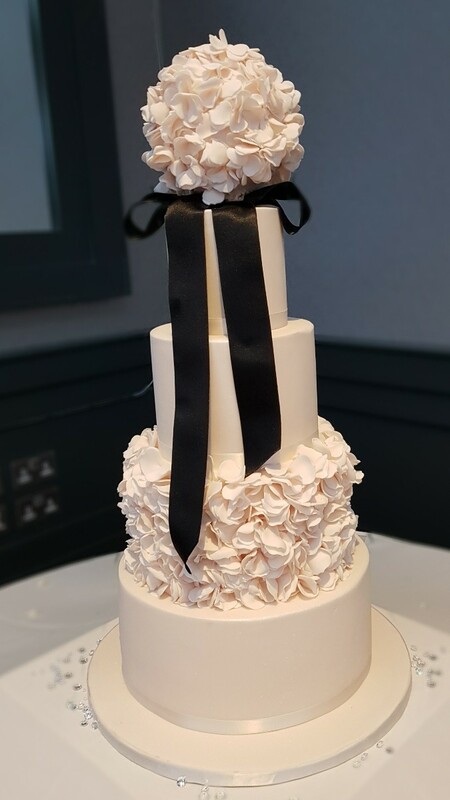 Our wedding cake was absolutely divine. Brian is so easy to deal with, nothing is too much hassle. He is a true gentleman. Will be asking Brian to cook any cakes we need for occasions from now on. 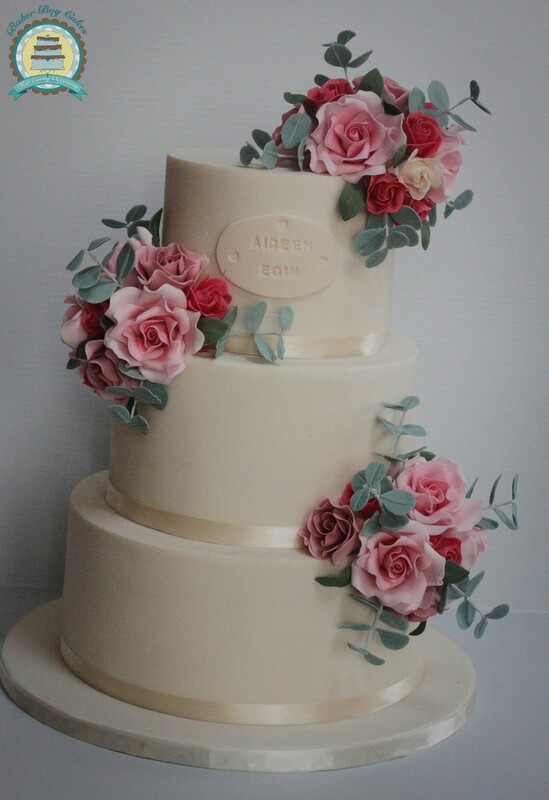 I was delighted to have chosen Baker Boy Cakes as our wedding cake supplier. 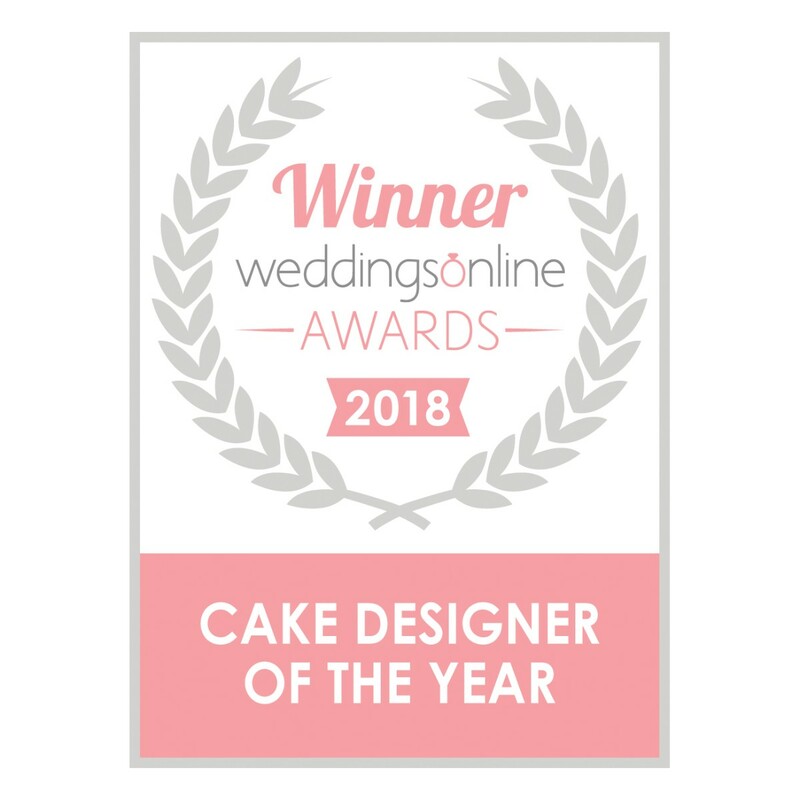 Not only was Brian extremely professional, responsive and flexible, he listened to our requests and worked with us to create our chosen wedding cake. The cake itself was truly incredible. Our guests are still talking about the flavours of each tier and how unusual and tasty they were. 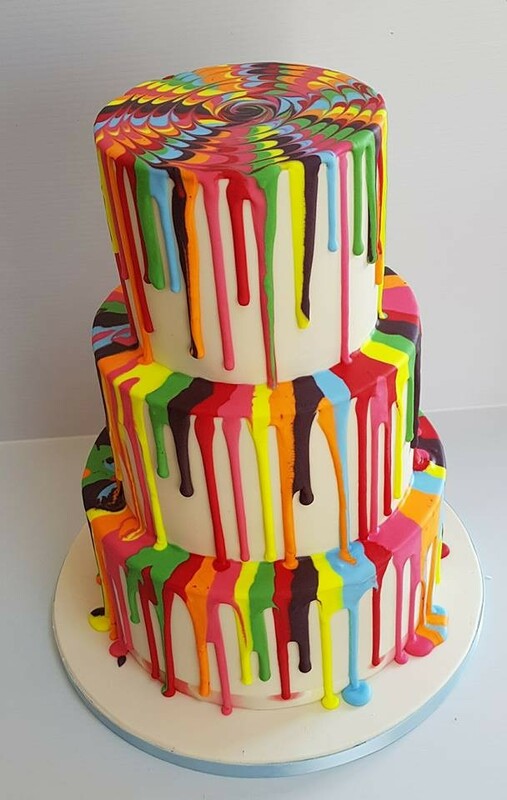 I couldn't recommend Baker Boy Cakes and Brian enough! I contacted Brian via Facebook over a year before my wedding after he came highly recommended from a family member who is in the wedding trade. Everything was so easy and hassle free from then on. We arranged a cake tasting about 2 months before the wedding and there was so much choice and variety it was so she's to decide! 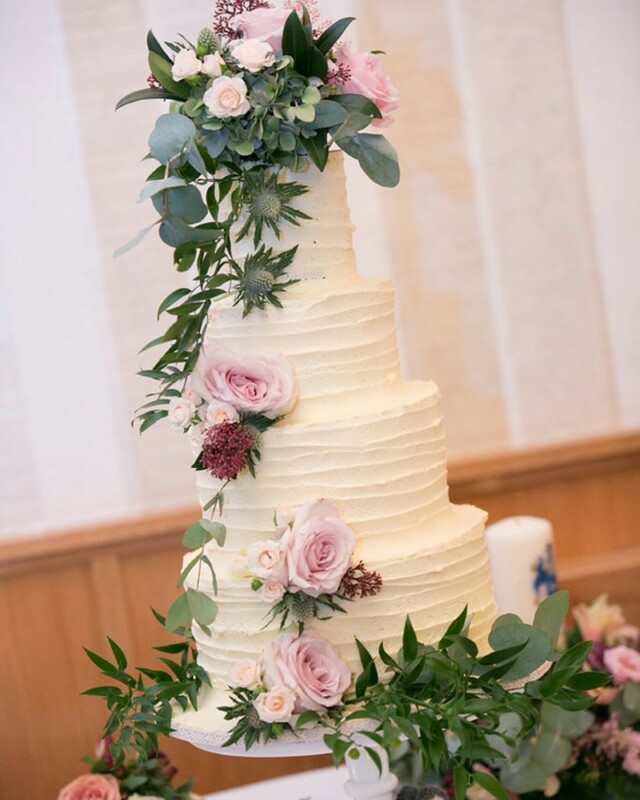 When it came to decorating we realised it was an aspect we hadn't thought much about but Brian designed and made a cake that took all aspects of our wedding into consideration. 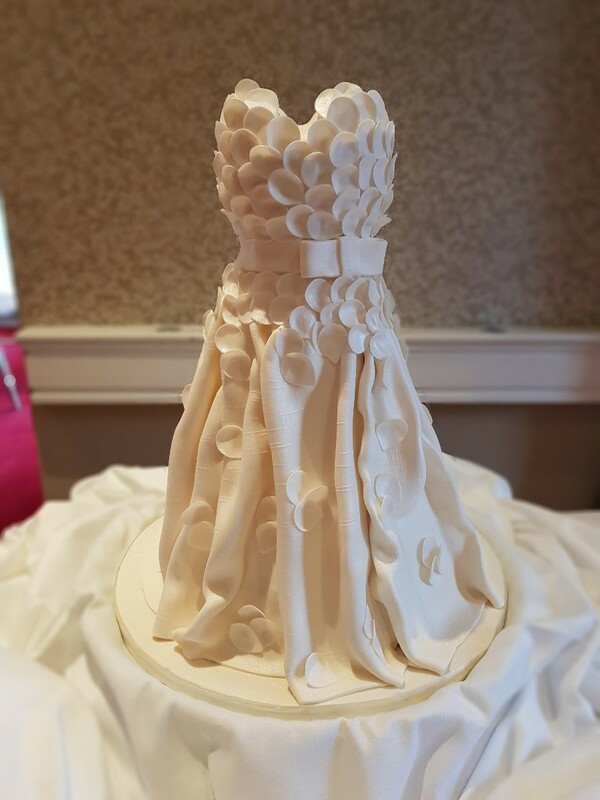 He even incorporated the detail on my dress into the cake to perfection! 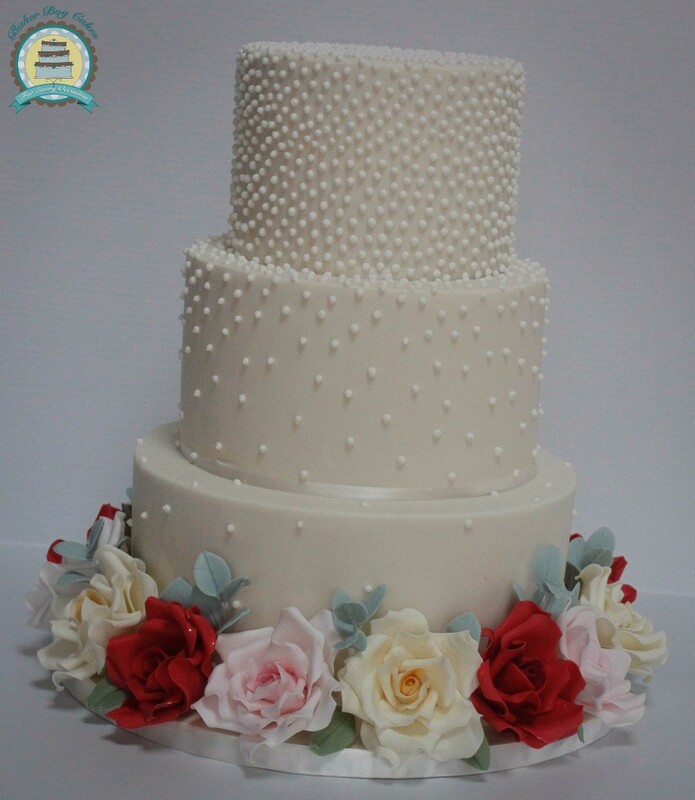 The whole process was so hassle free and easy and the cake was the most delicious cake we had ever tasted. 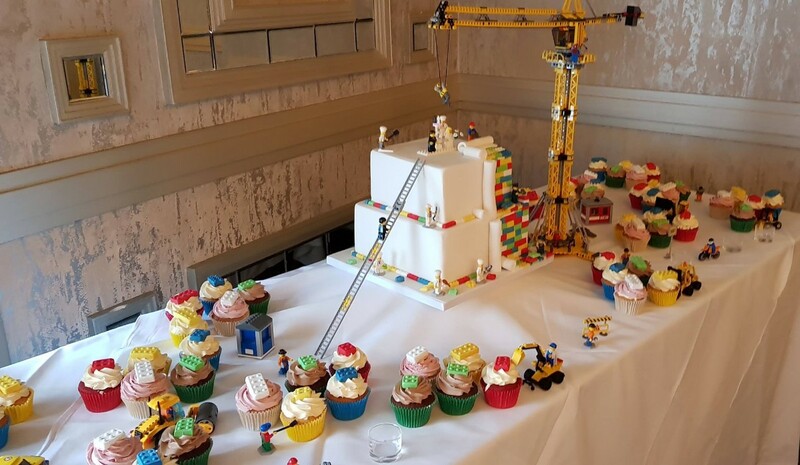 Brian make us our dream lego wedding cake. Not only did it look amazing it tasted amazing! The orange biscuit was to die for. Comments came far and wide about the quality of the cake. Thanks Brian ???? we found the customer service for Baker Boy Cakes flawless. Brain did everything we asked of him without question. The cake was delicious aand looked amazing. 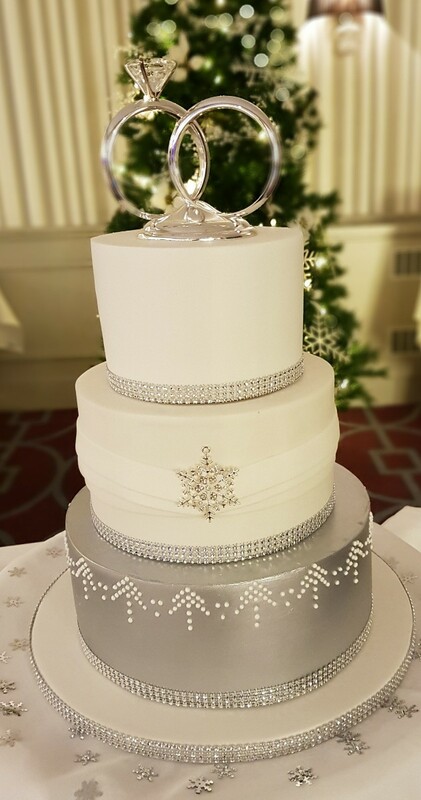 Brian done our wedding cake last December. We met with him and discussed what we wanted beforehand and tasted his amazing samples! The choice of flavours was fab. Seeing the cake set up was brilliant It was perfect! Exactly how we imagined it would be. Brian is brilliant at what he does and I would recommend him to any future brides and grooms! 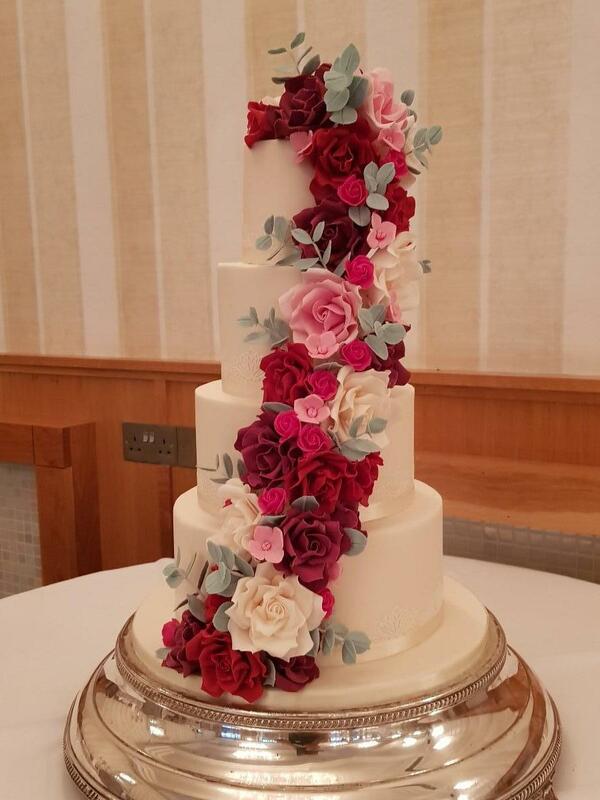 Thanks Brian for our gorgeous wedding cake! Baker Boy Cakes are simply delish. We choose a Chocolate biscuit cake layer and a lemon and raspberry layer and they were to die for. So well made and looked stunning! I had a birhtday cake ordered as a surprise for my hubbie, dad and sister (too many birthdays) and the Muppet cake I picked was amazing, the coconut and lime was a great mix and complimented the rest of the cakes brilliantly. 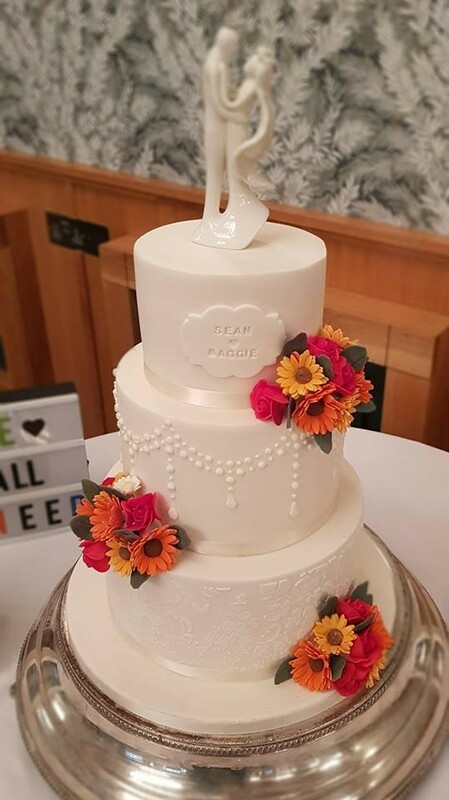 The cake was all set up with our flowers and lego cake topper on top, no mess no hassle no drama. We can't sing Baker Boy praises enough!! 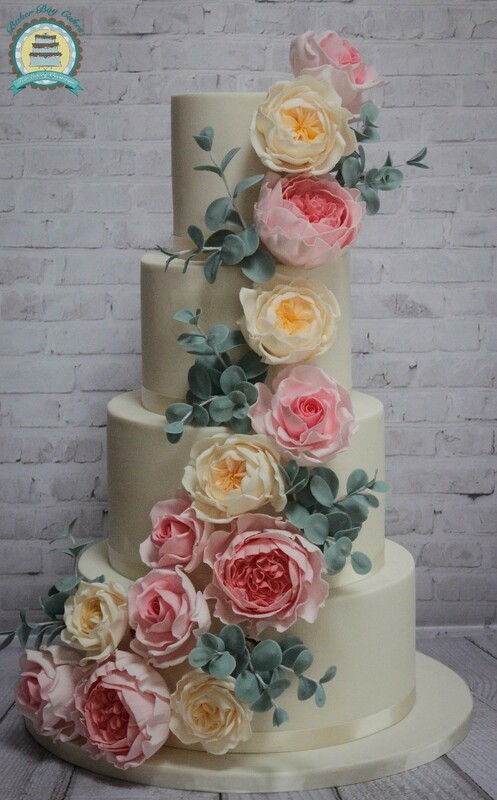 We were so thrilled with our wedding cake, Brian did an amazing job! It was the centerpiece of the room and tasted every bit as good as it looked! 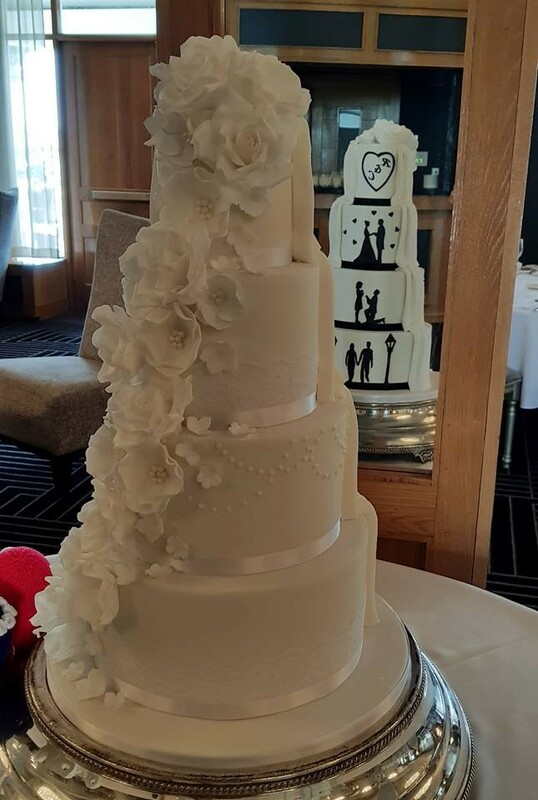 The attention to detail and was second to none, thanks so much to Brian for our perfect wedding cake! Fabulous! From start to finish Brian was an absolute pleasure to deal with. 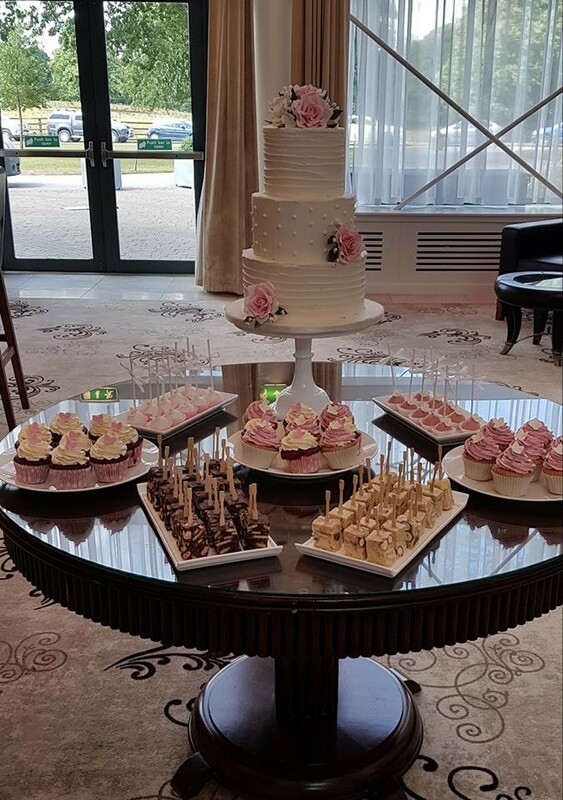 We were not living in Ireland at the time of the wedding and Brian made every effort to accommodate us including setting up a tasting for our parents and delivering about 15 cake samples to the hotel when we were choosing our menu. Every sample was delicious, it was a real struggle to pick only four flavours! The cake looked amazing and Brian went to a massive effort to custom make it for us. We couldn't have asked for more. My only regret is that we never got to meet him to thank him in person, but hopefully this review will allow other couples to enjoy the wonderful experience that we had. Cross your fingers he's free for your date! 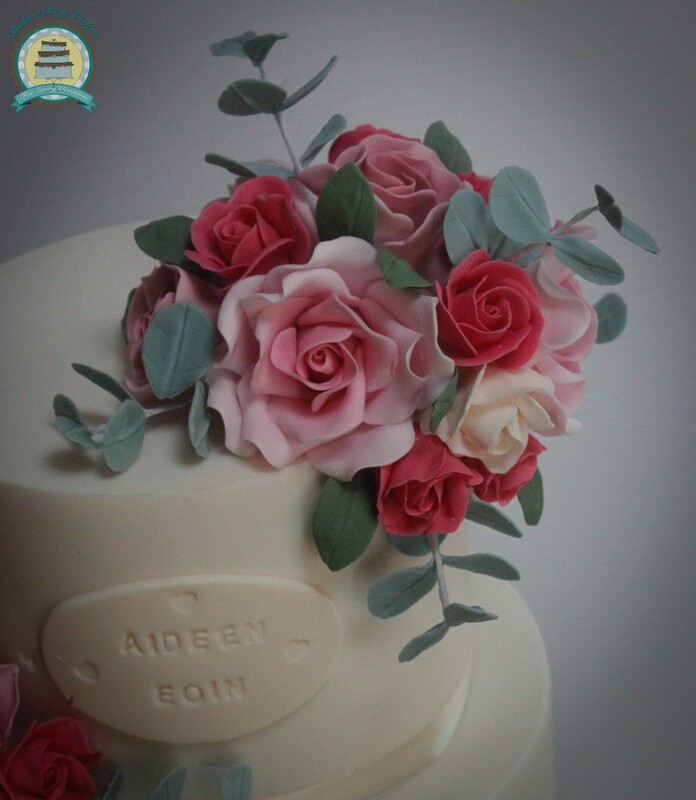 I had the pleasure of meeting Brian at a wedding fair in cork and I was blown away by his samples and the cakes he had on display that day. My husband made the decision that day we weren't looking past Brian for our cake, I didn't argue. Brian was so accomadating fitting us in for the tasting as we both work shift. Again we were blown away by the endless samples we tasted that day, it actually was near impossible to pick the diff tiers for the cake, Brian was very helpful with this and with years of experience we trusted him and he didn't disappoint. 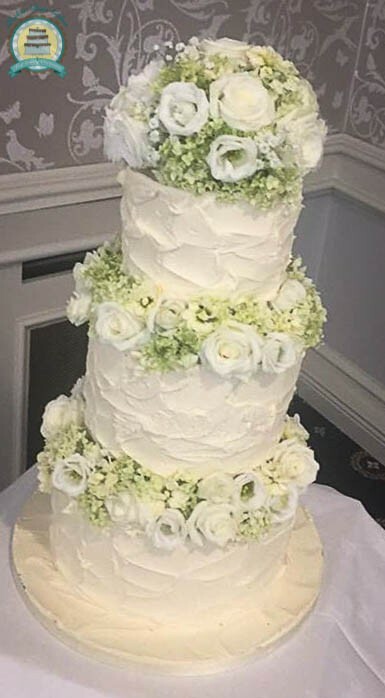 I left the design entirely up to Brian I sent him some pics of my flowers, dress nd invites and he incorporated these so beautifully into the overall design of the cake. 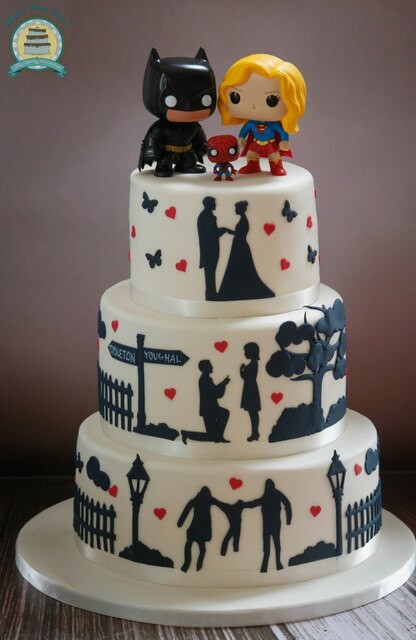 The cake on the day was stunning, there were more pics taken of the cake than of us, nd Brian incorporated my husbands love of superman as a surprise for him on the day and again it was beautifully done. I wouldn't look past baker boy for a cake, trust me you WILL NOT be disappointed. One very happy couple..
What can I say. Brian is a genius! Our cake was perfection. Absolute perfection. Brian is just a dream to work with- so talented and very calming. If he doesn’t win this award, there is something wrong with the world. He should be making cakes royalty. He’s that good. He surpassed my expectations completely. Brian, take a bow! You are amazing!